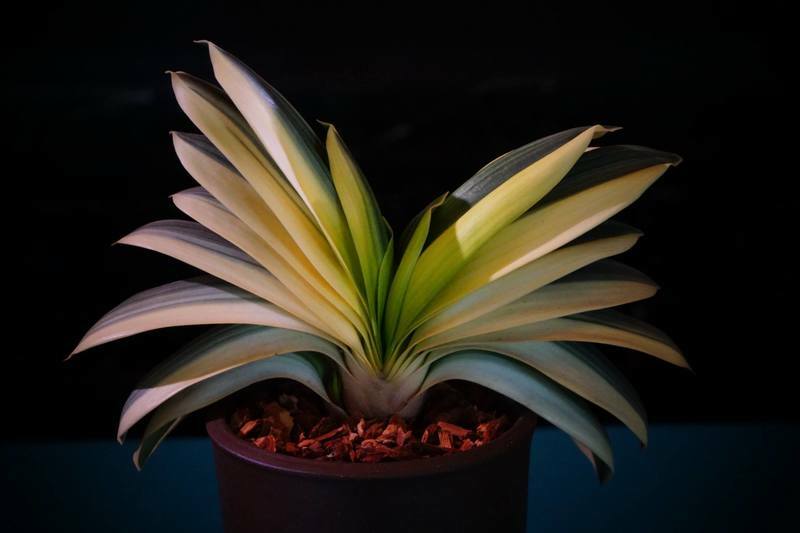 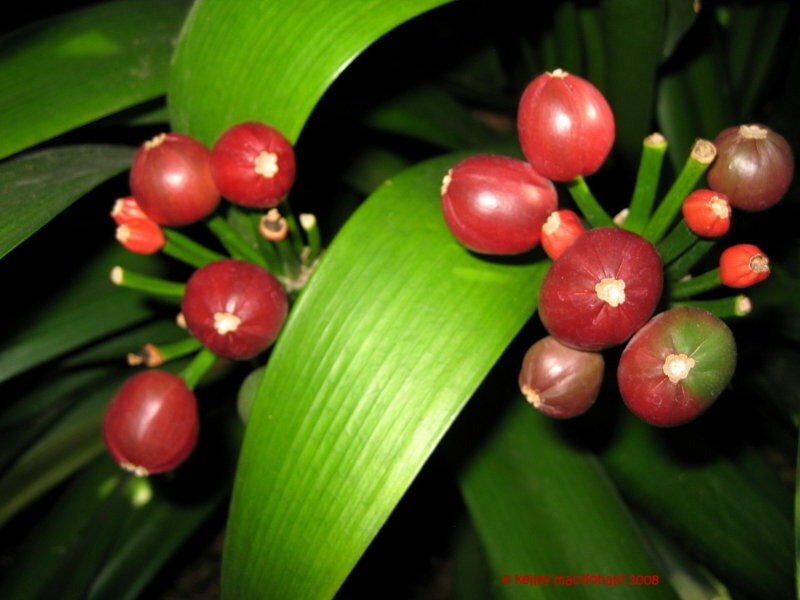 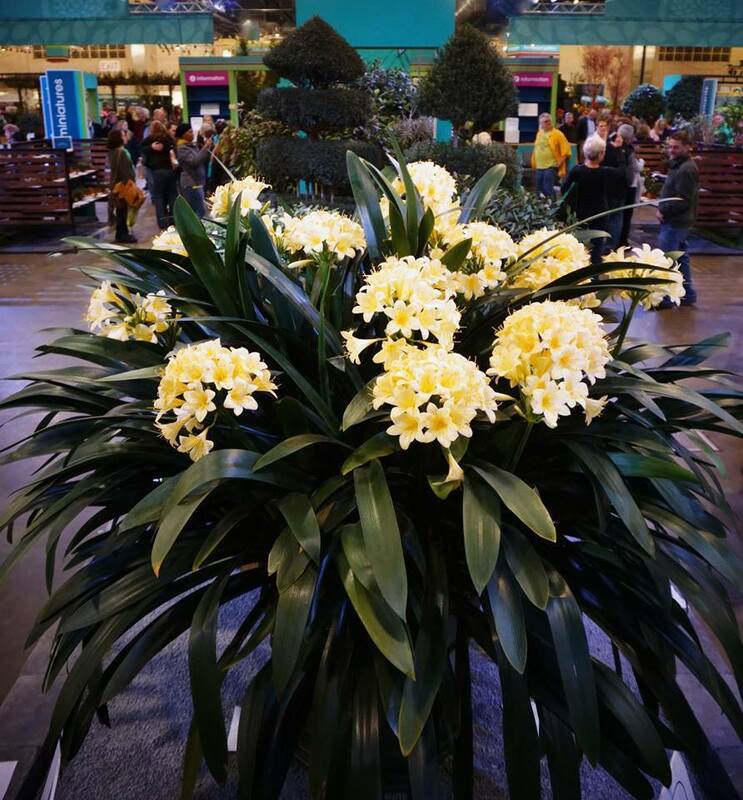 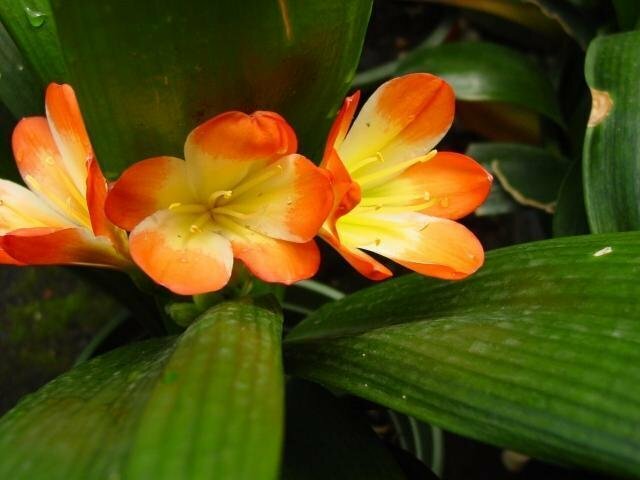 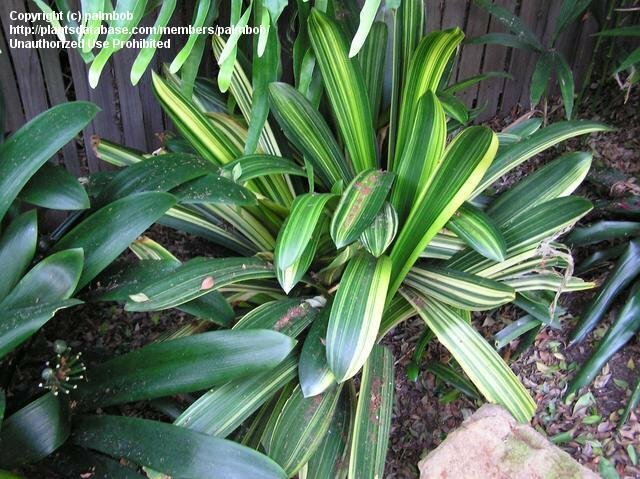 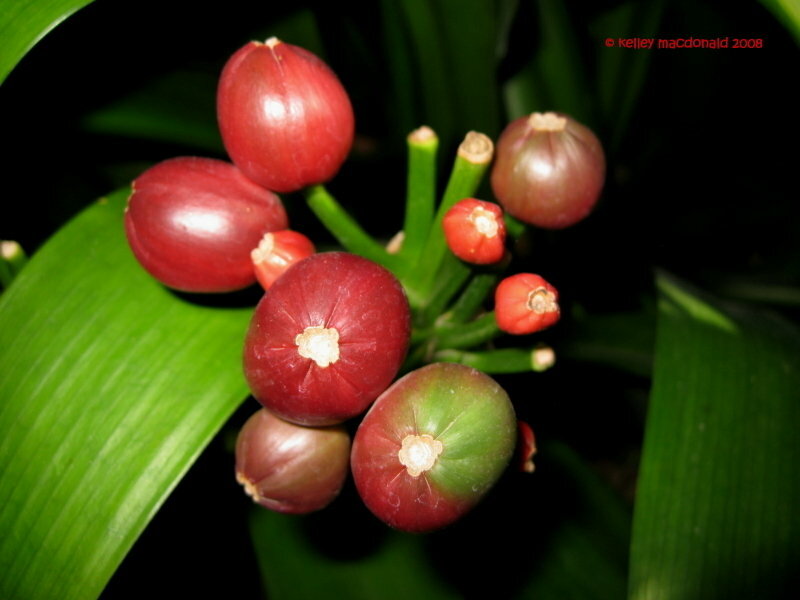 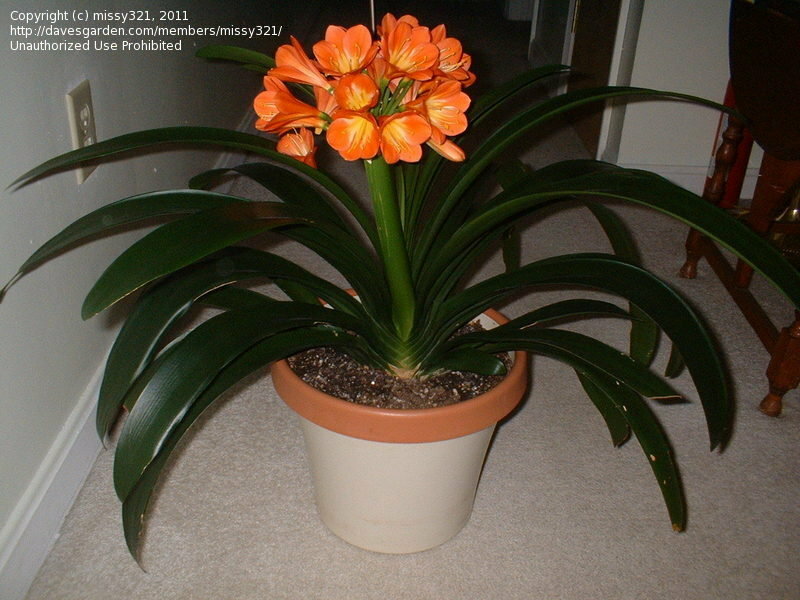 This plant blooms faithfully, indoors and outdoors-extremely undemanding plant. 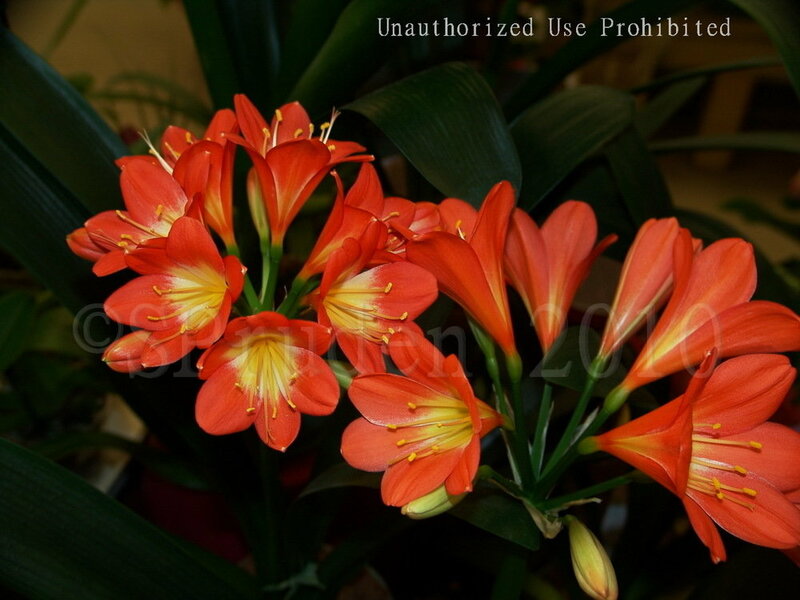 Unnamed variety of Clivia miniata. 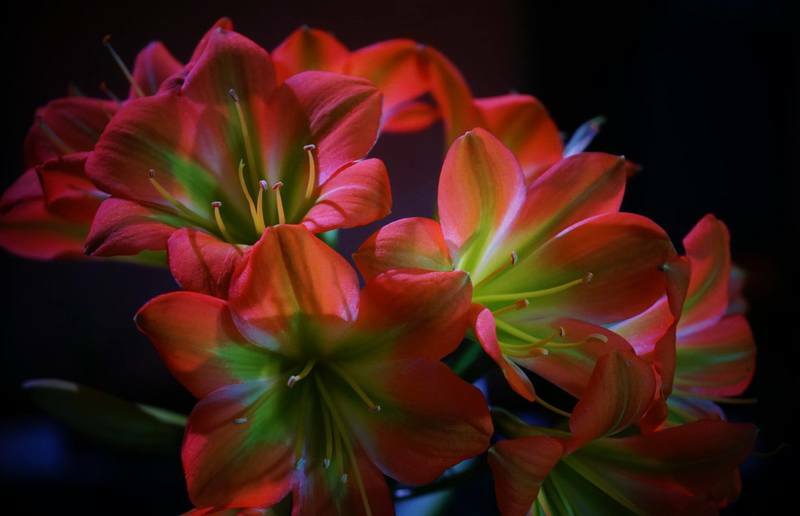 Flowers are a true, fiery red. 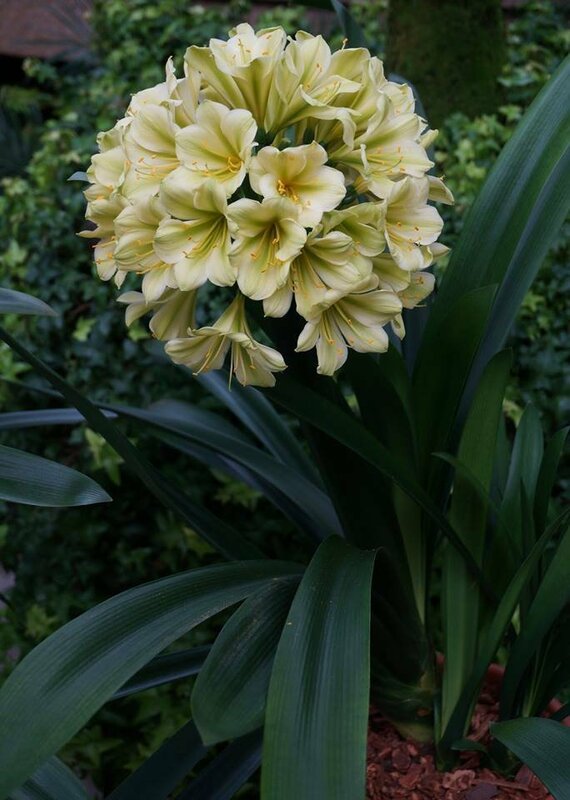 I thought I would add a picture of my yellow one, now in bloom. 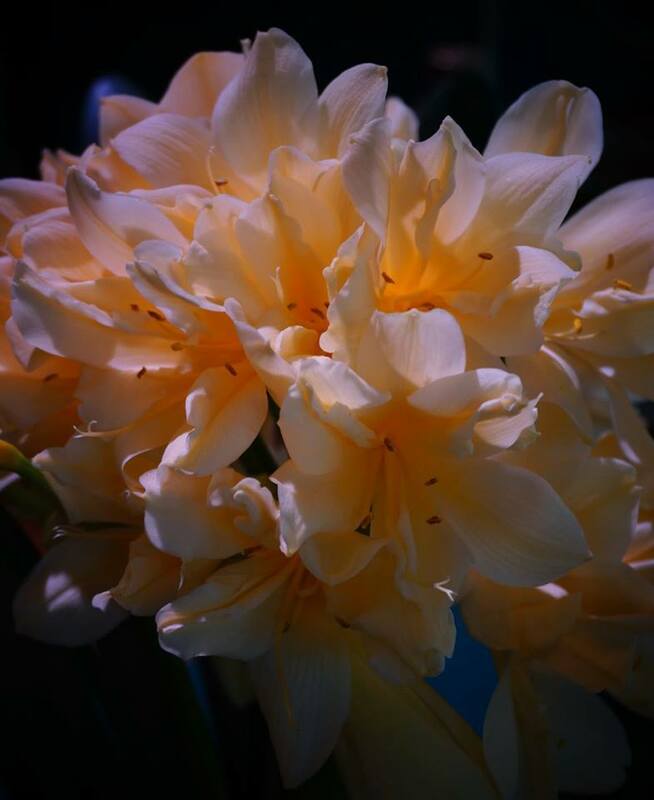 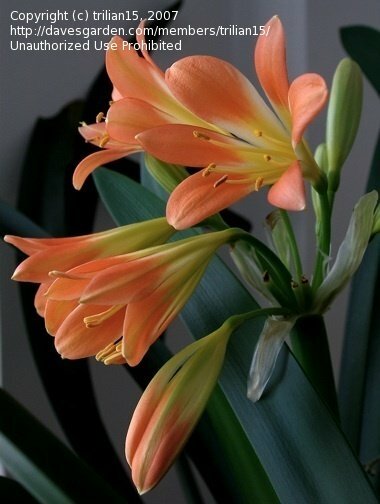 My Clivia miniata is a cutting from the roots of a parent plant. 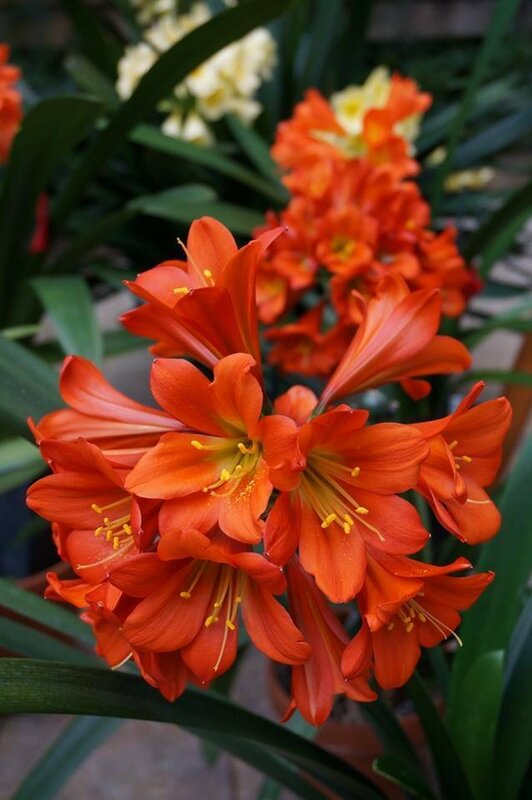 It began to bloom in the 3rd year after division. 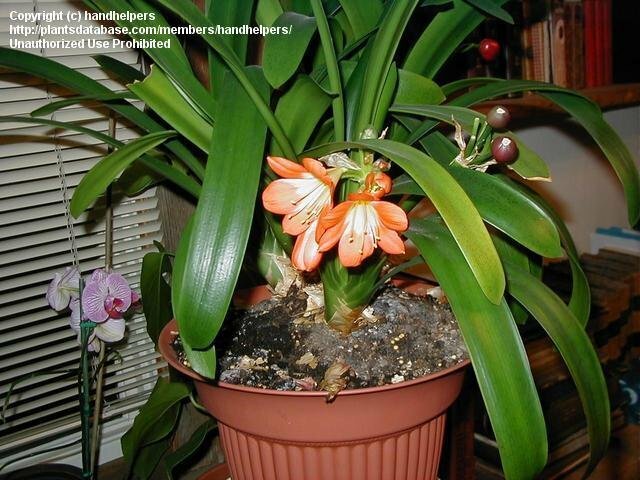 It lives in a container on a screened porch in summer and indoors in winter. 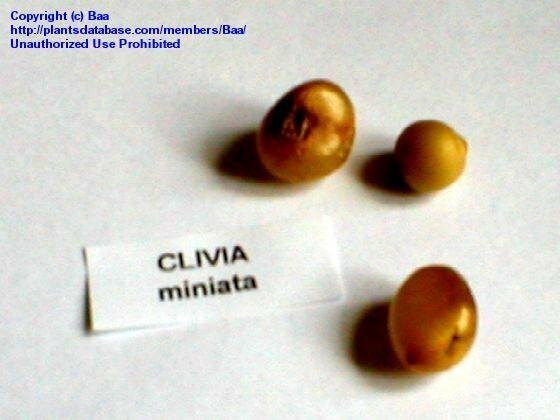 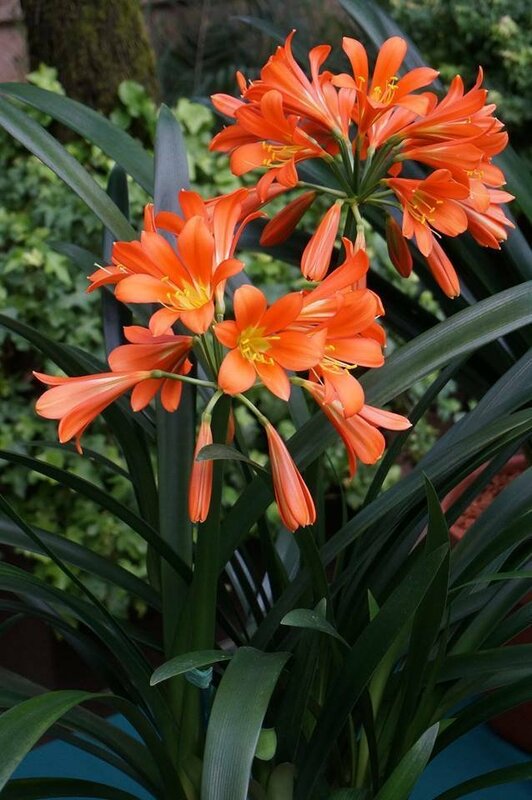 They are very sun sensitive and need protection, especially in our Zone 6a/6b of the USA. 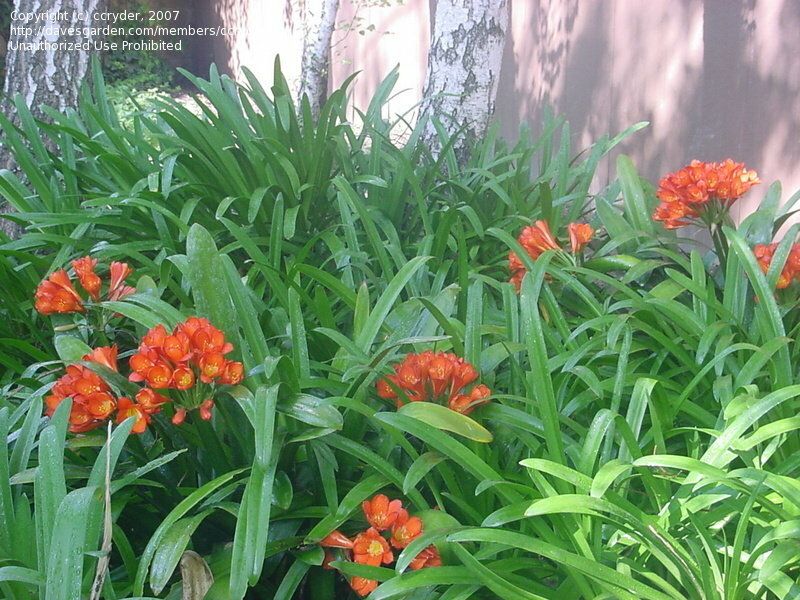 They grow wild in South Africa. 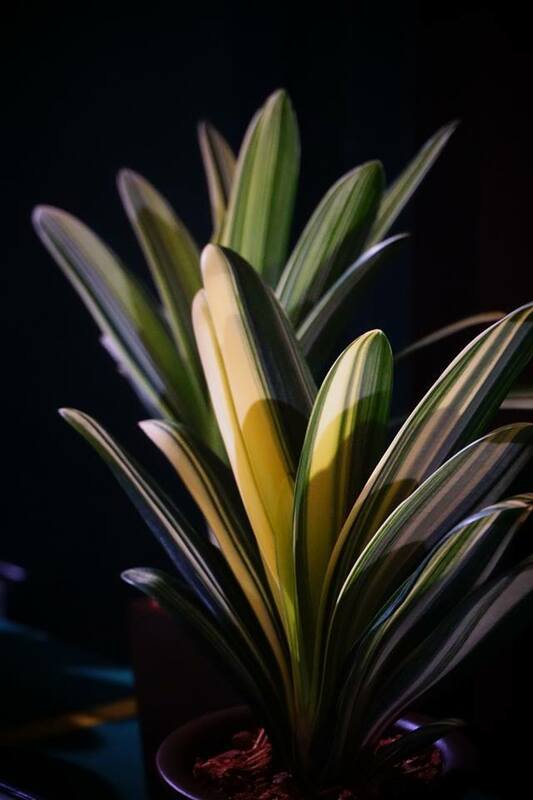 i'm babysitting this plant for a friend spending the winter down south..so far so good! 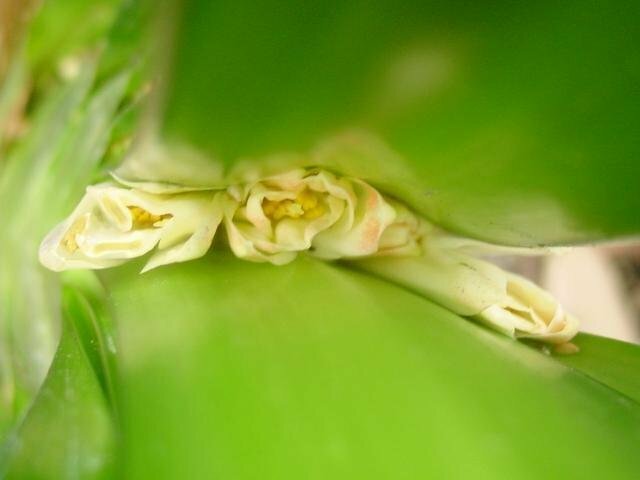 Bloom starting to emerge in March as shown from above. 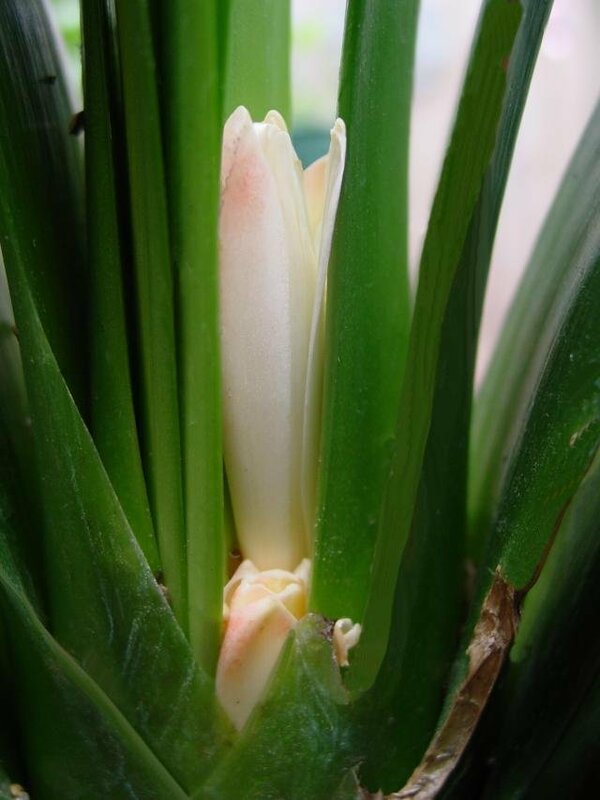 Bloom growing larger in March. 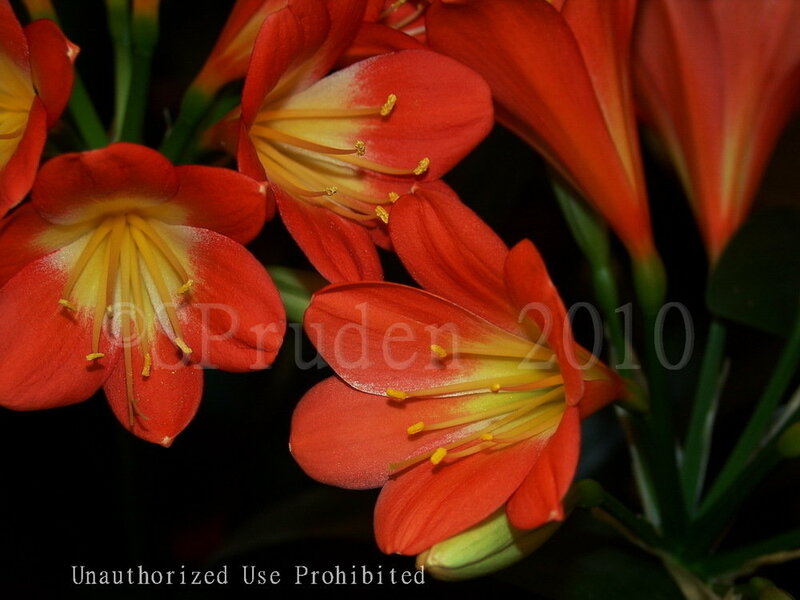 The color is now coming into the blooms as they mature. 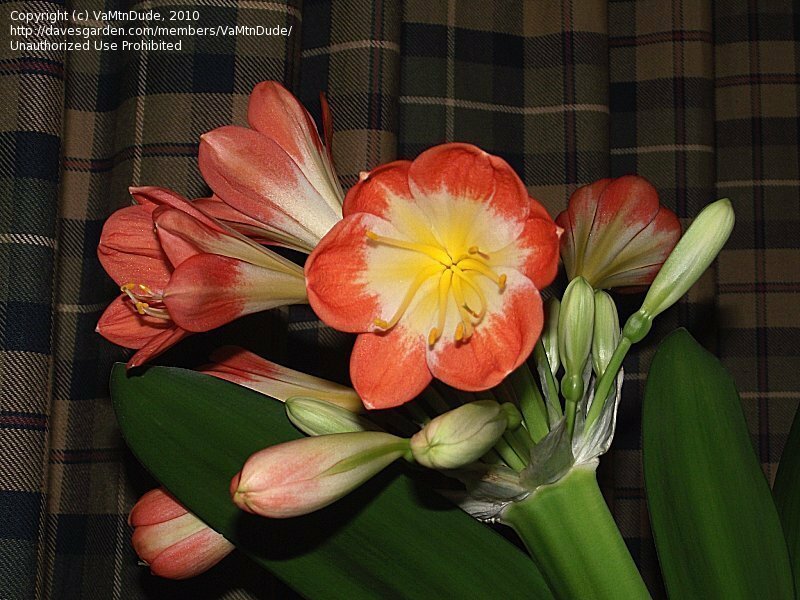 Some of the blooms are now fully open. 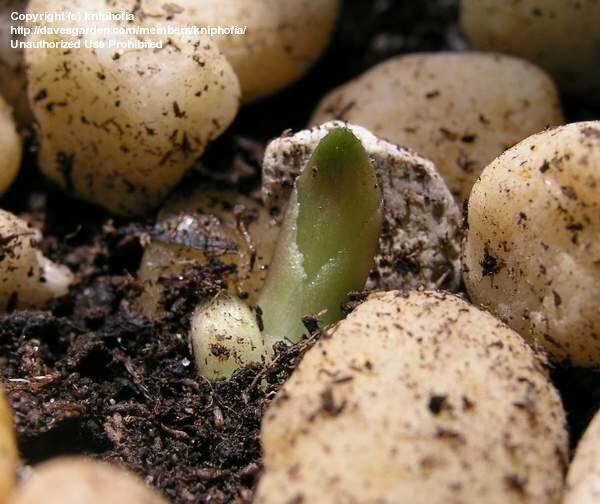 A pup that has emerged from the mother plant which has never produced seeds. 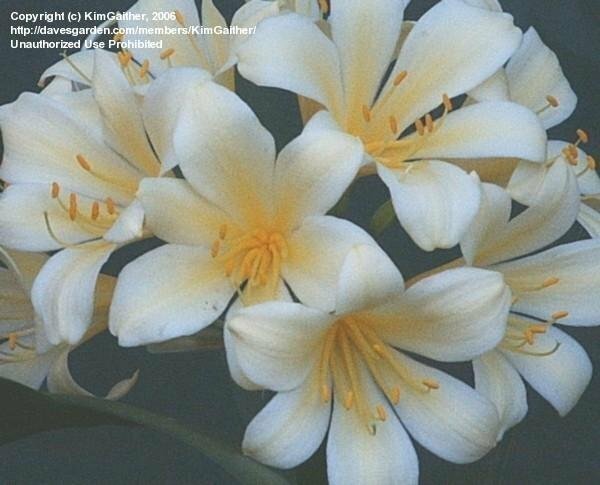 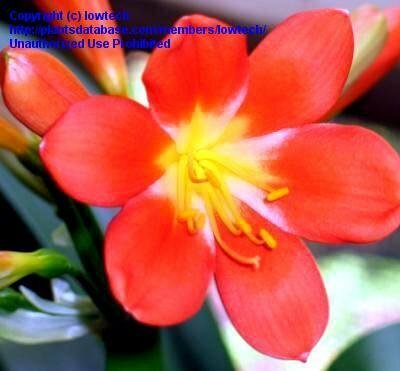 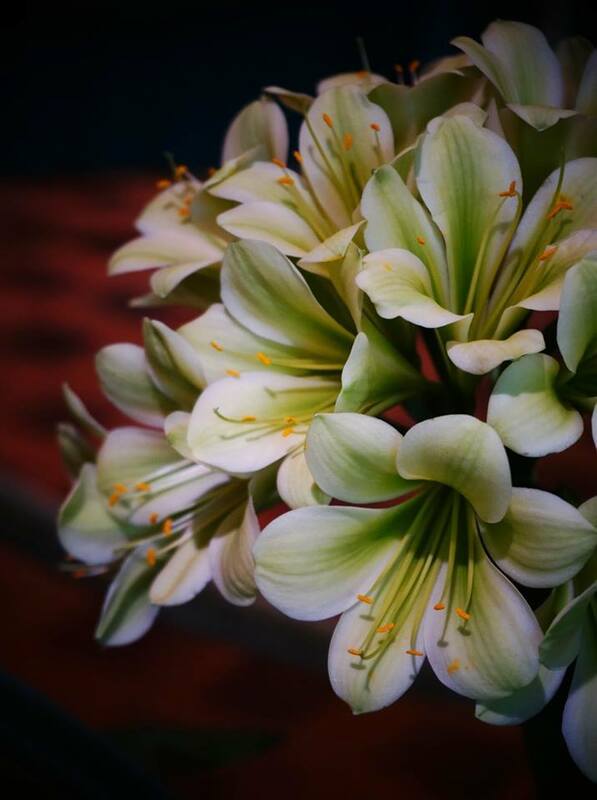 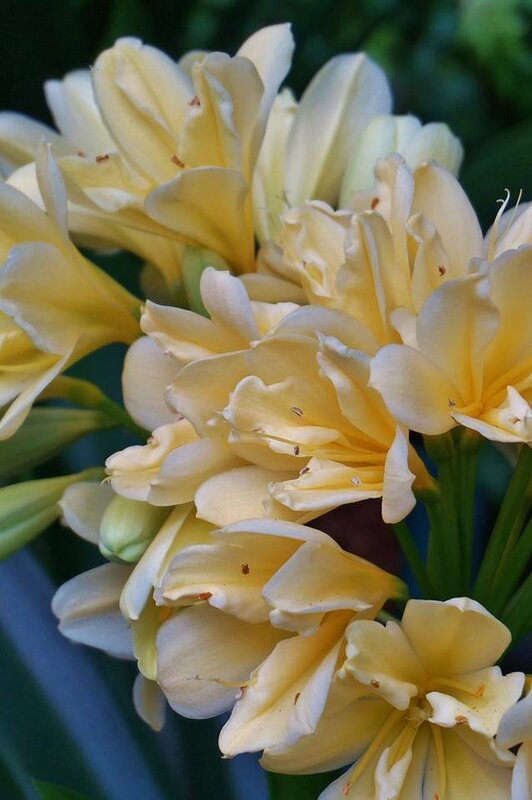 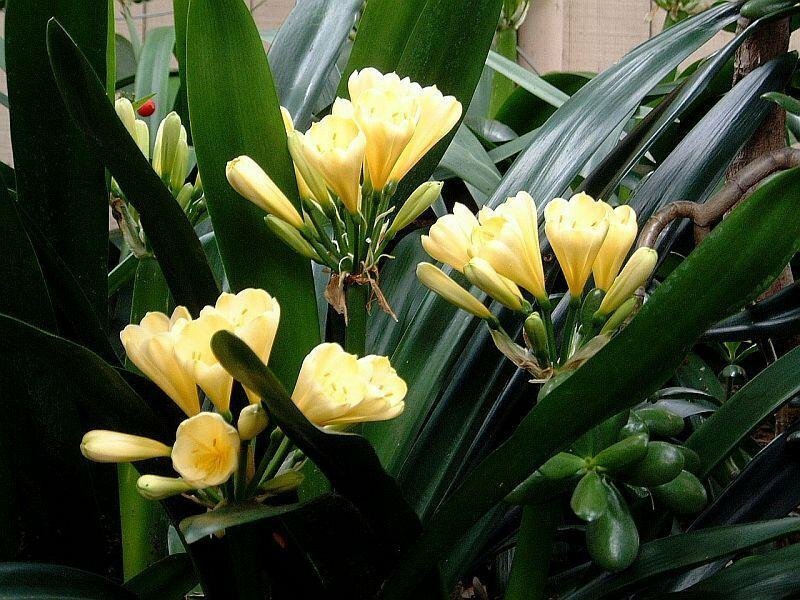 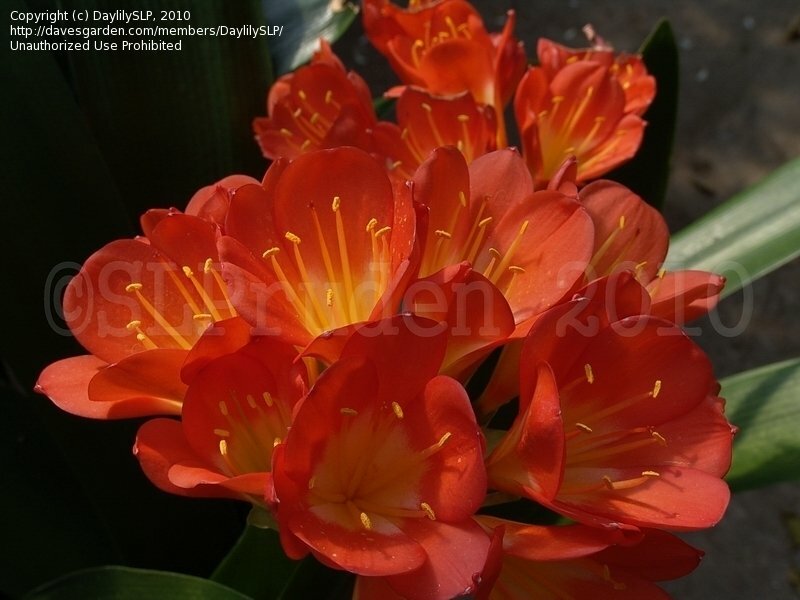 This Kaffir Lily is the most reliable winter bloomer, year after year. 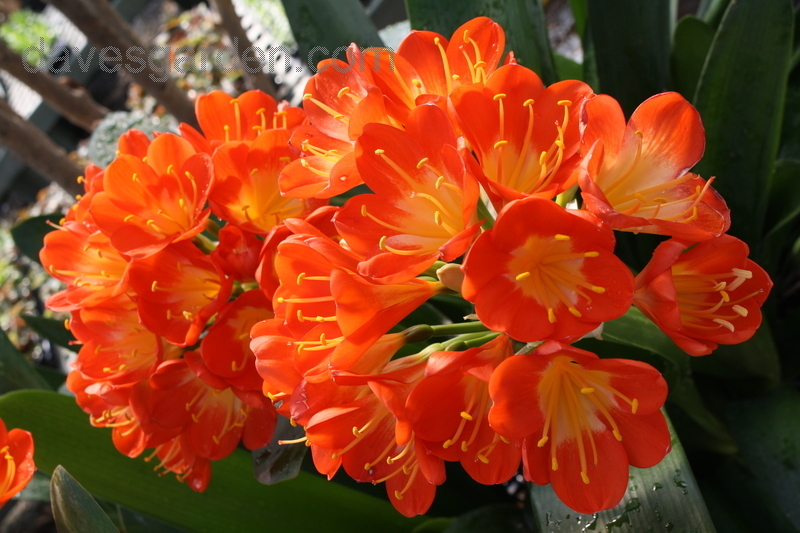 From South Africa, this evergreen perennial bursts with color. 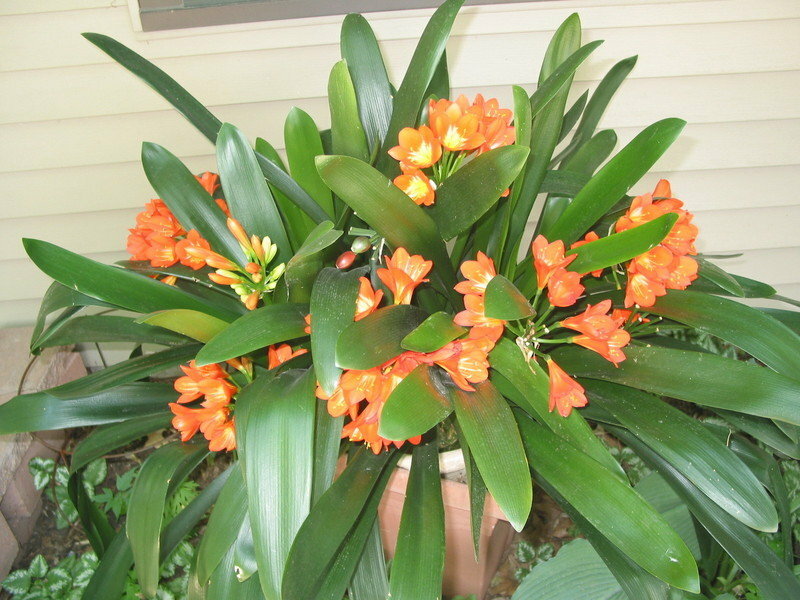 Easy care plant. 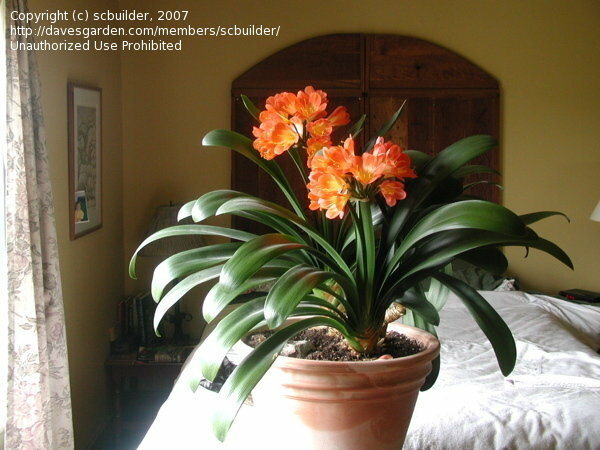 For me, it is a consistant indoor Winter Bloomer. 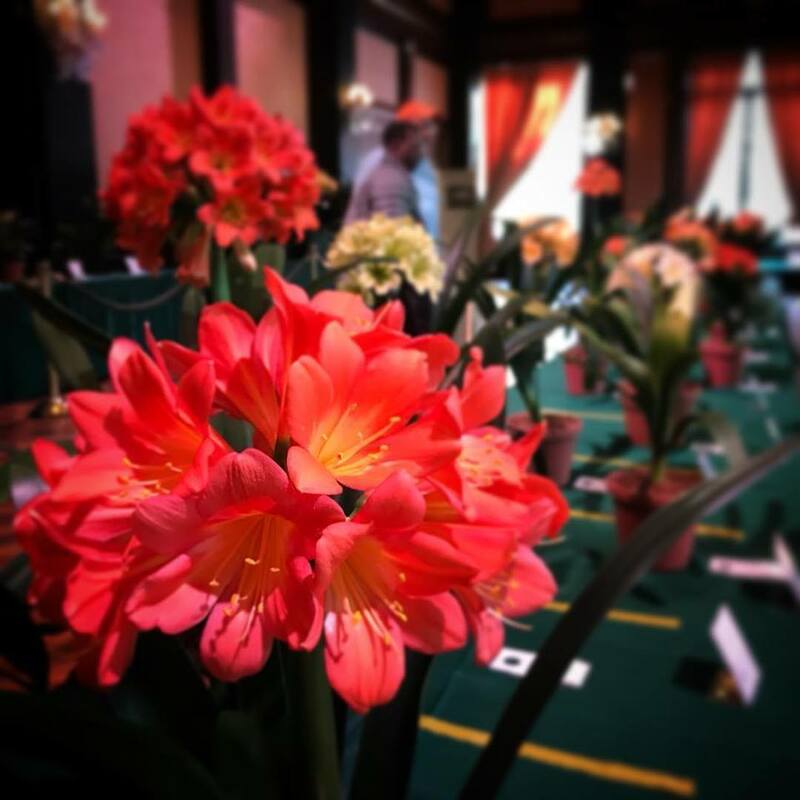 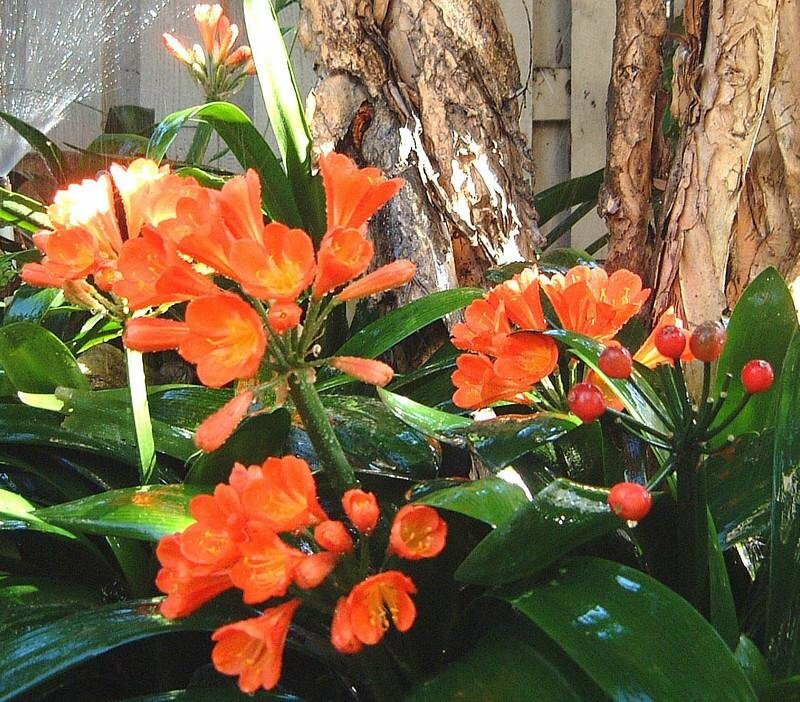 My "jungle" of beautiful clivia miniatas. 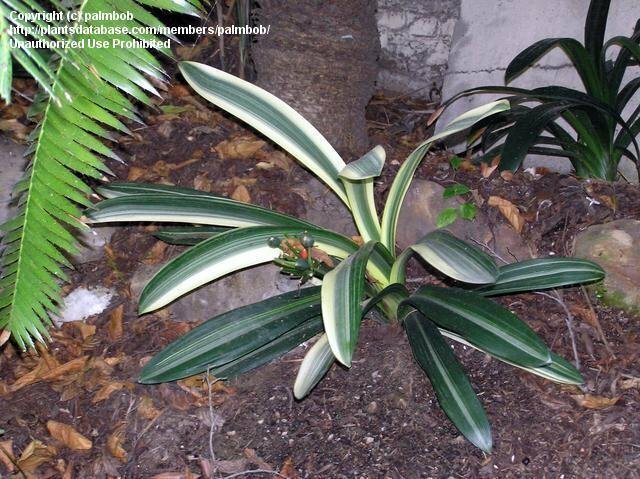 I have had this plant for over 30 years. 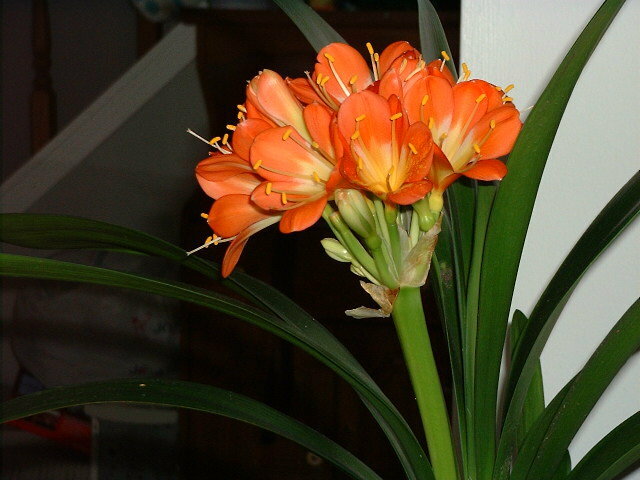 Here it has two blooms at once. 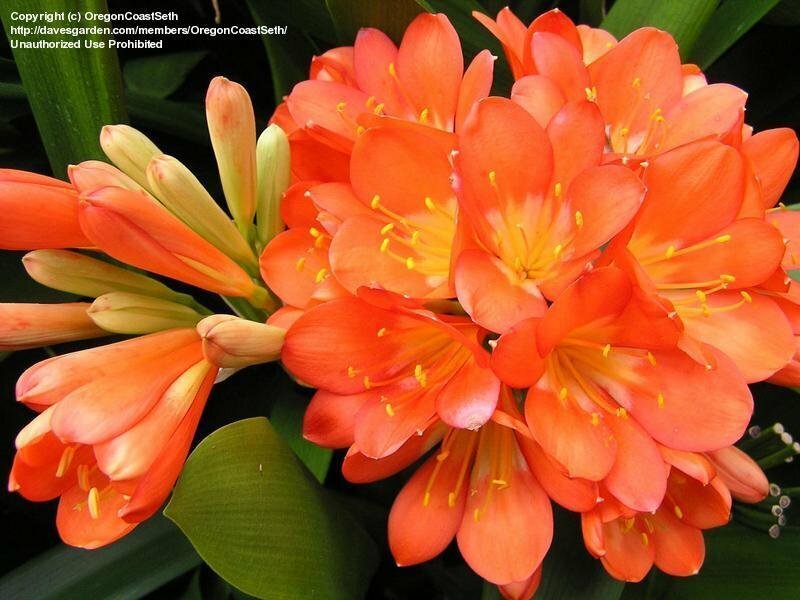 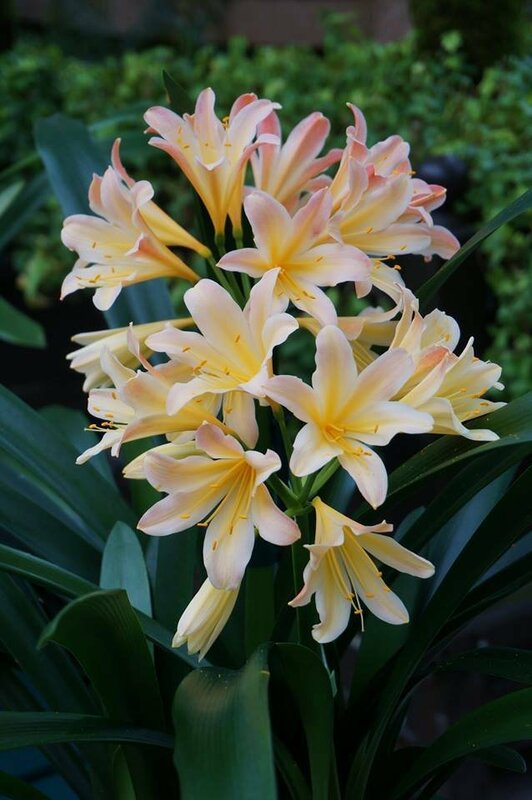 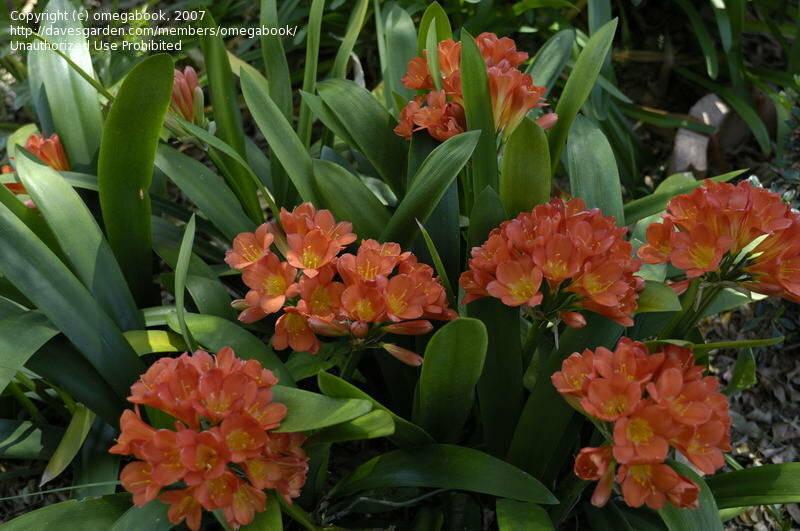 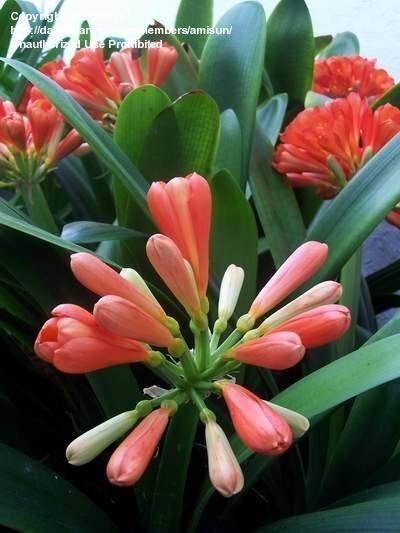 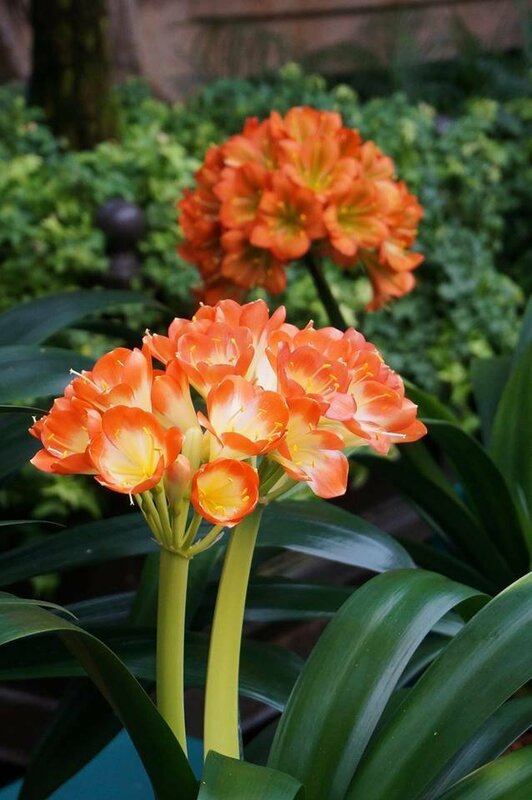 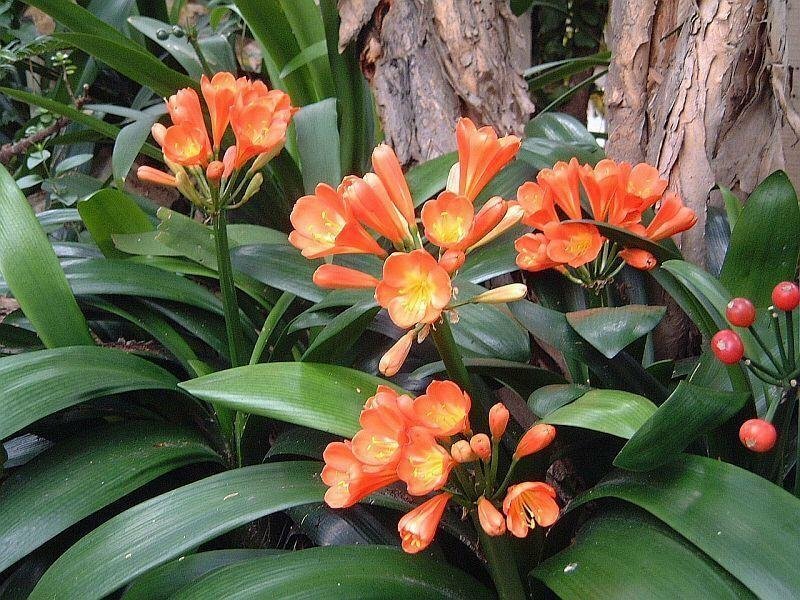 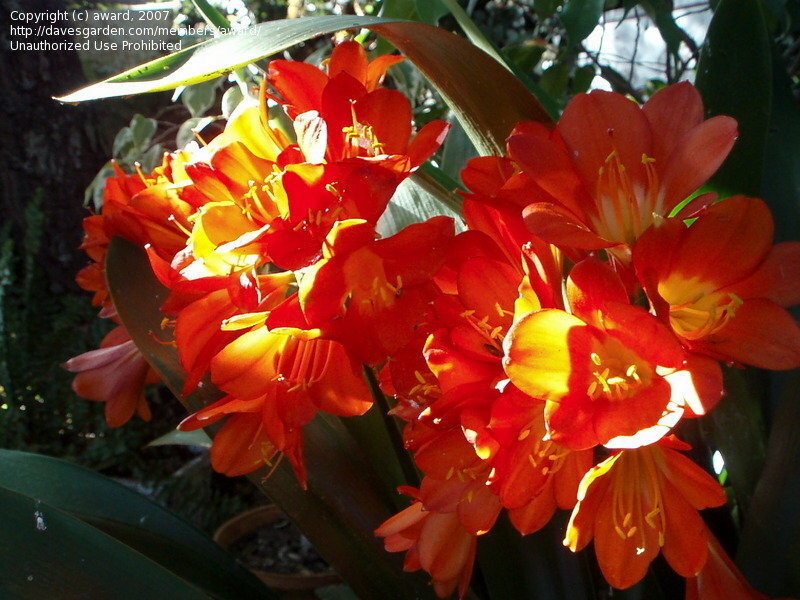 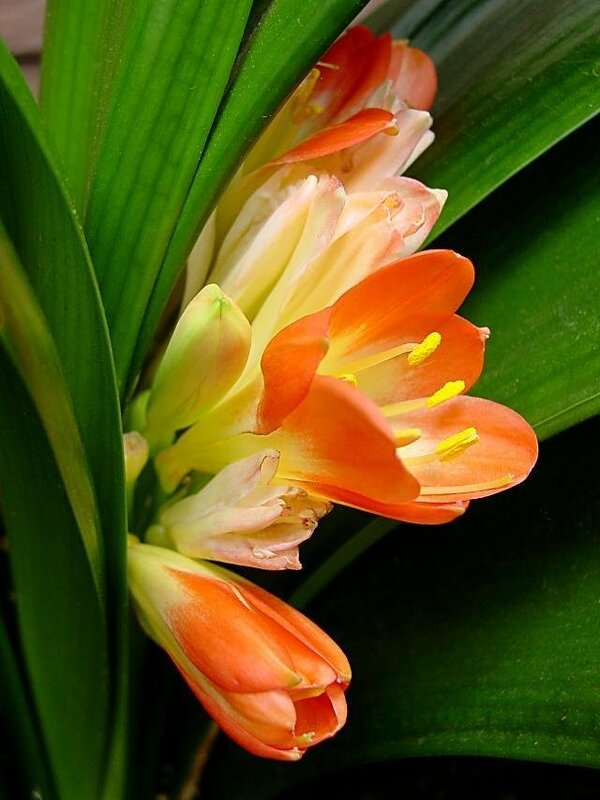 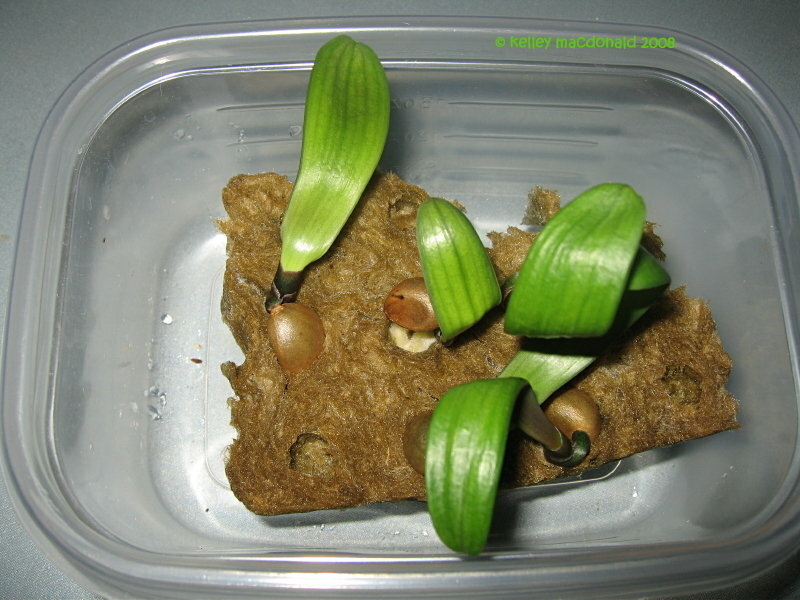 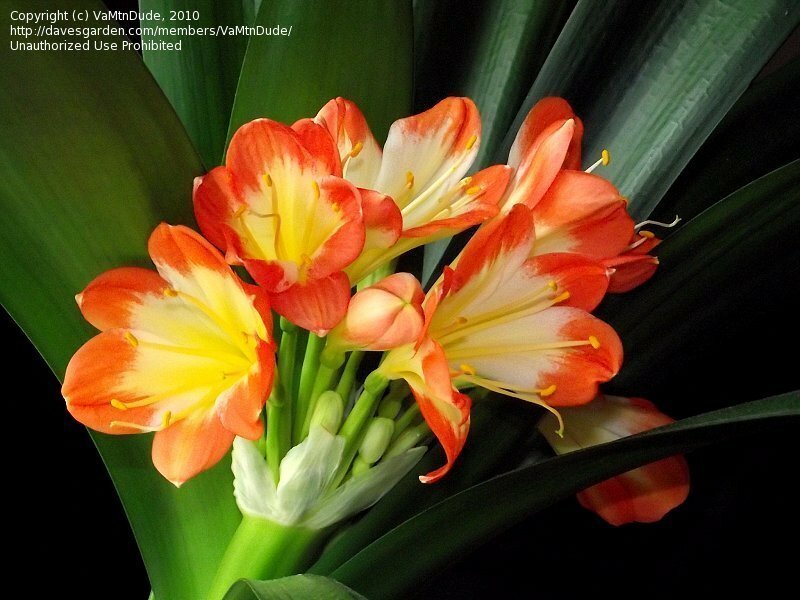 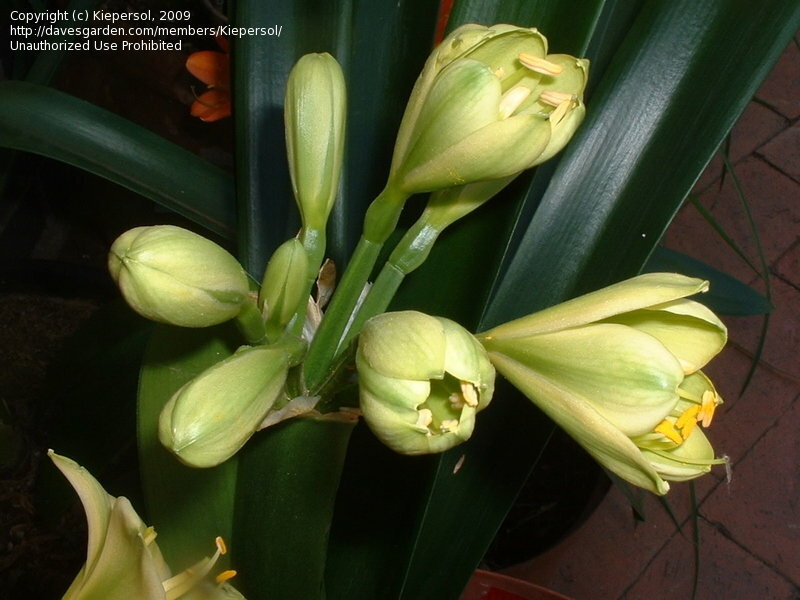 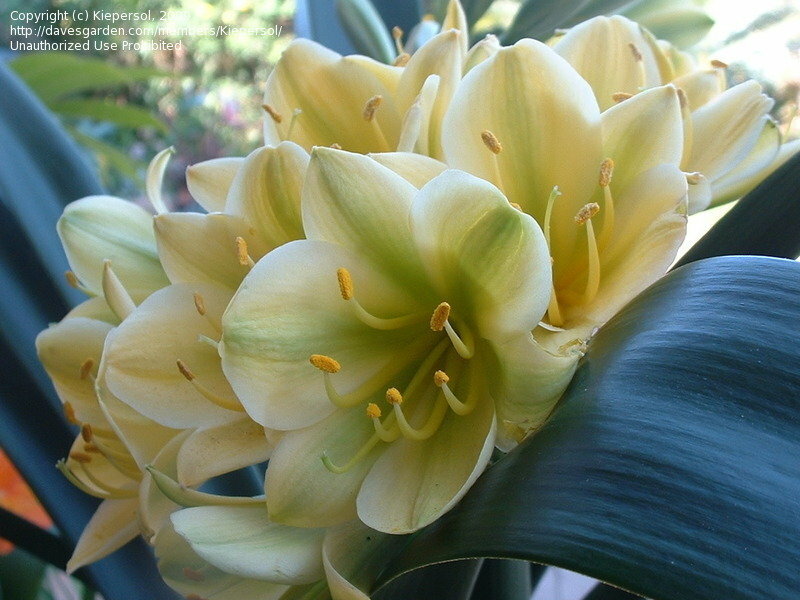 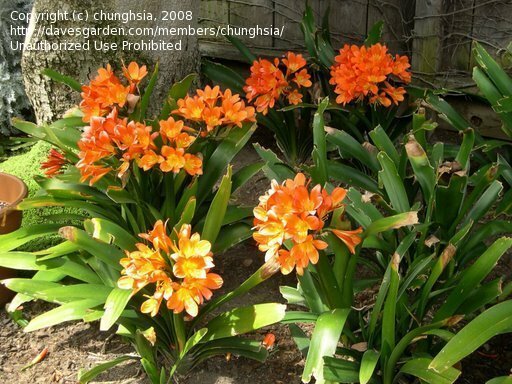 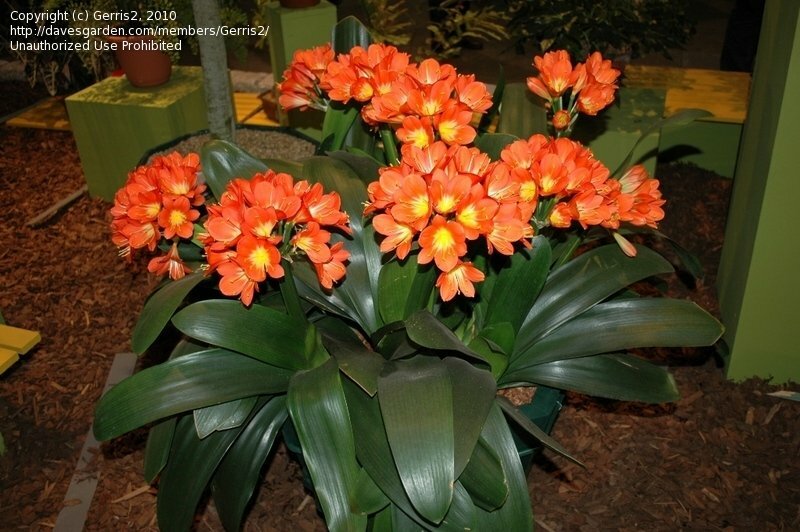 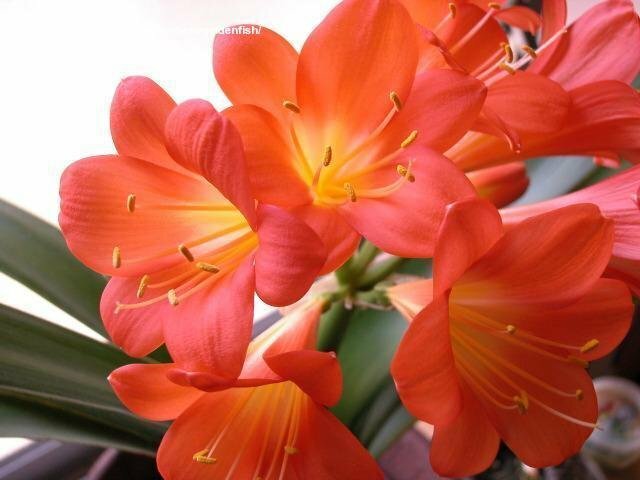 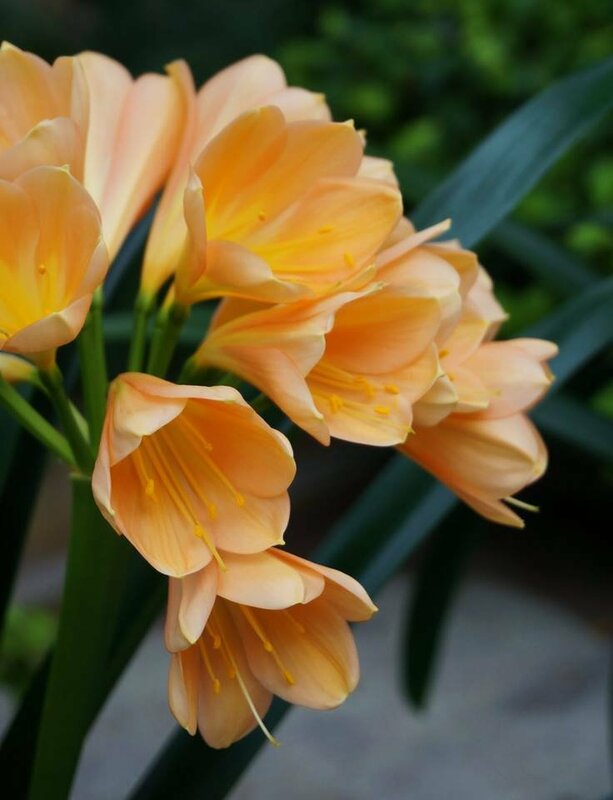 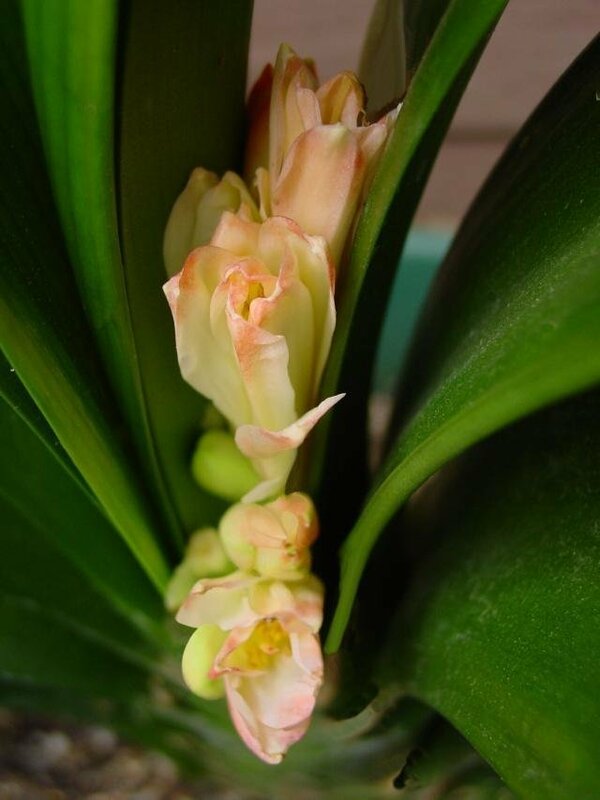 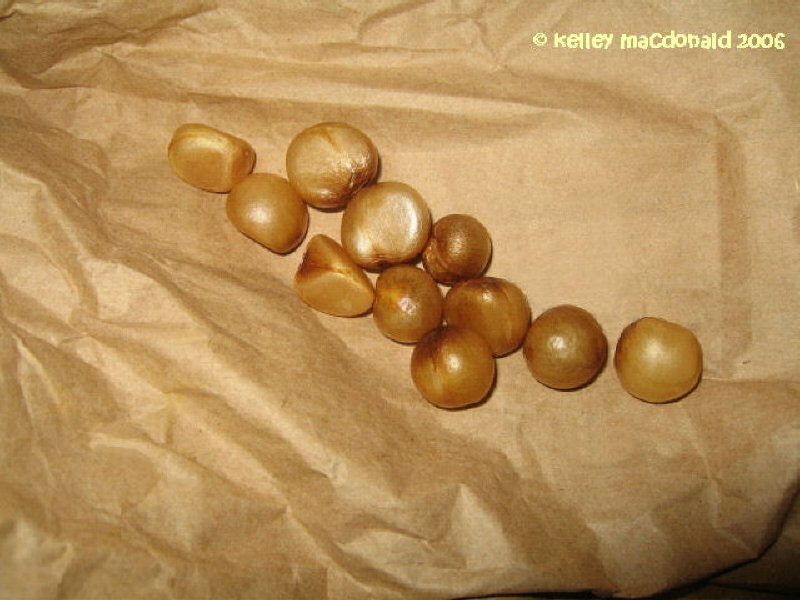 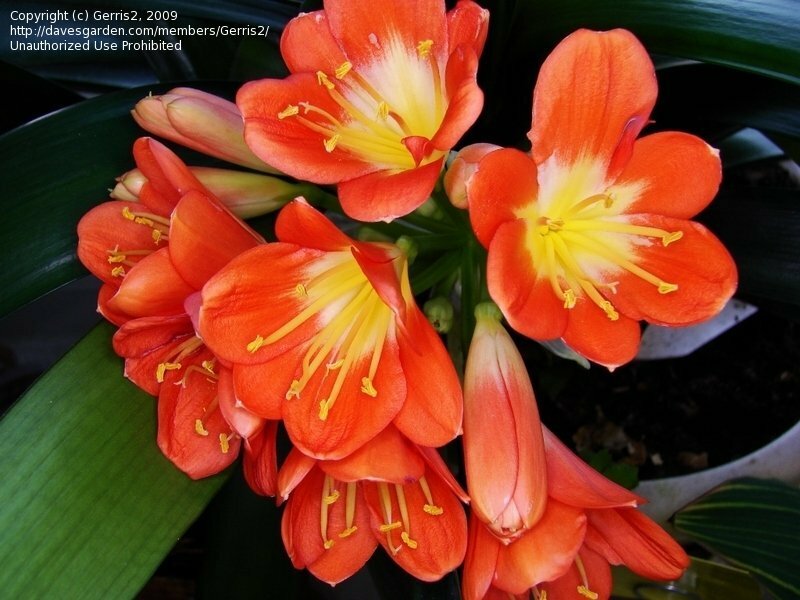 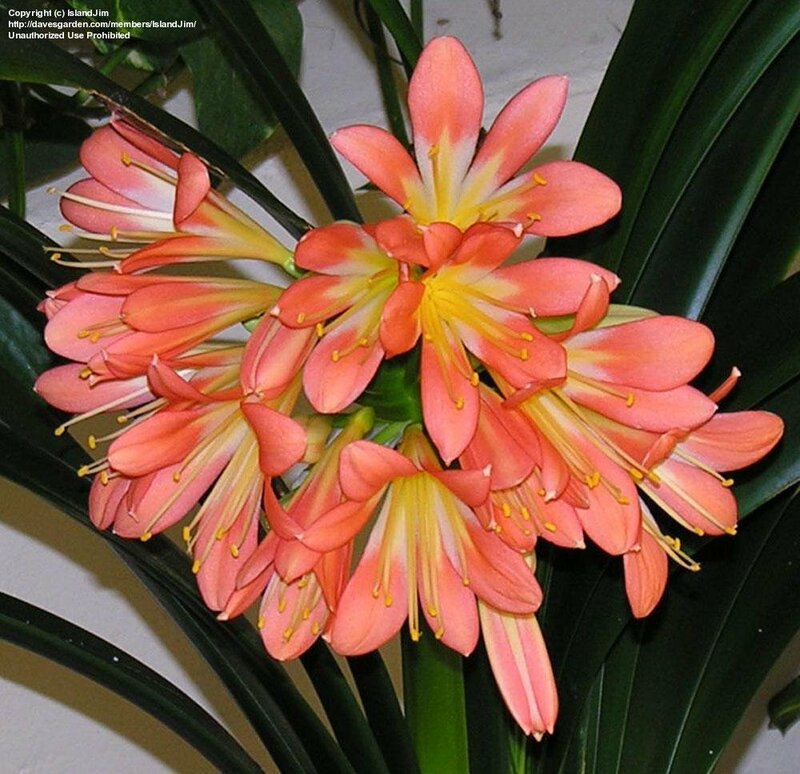 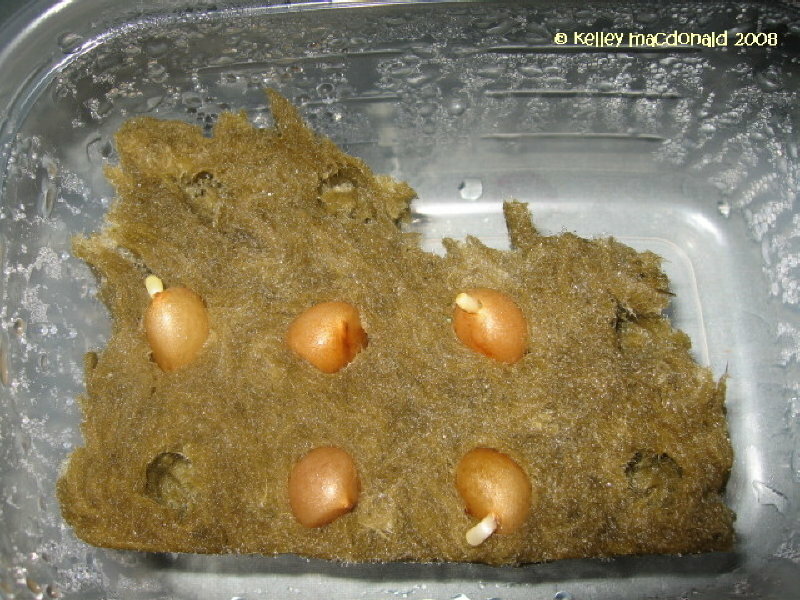 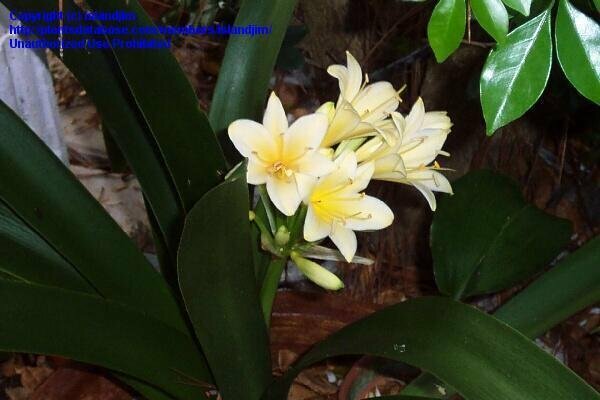 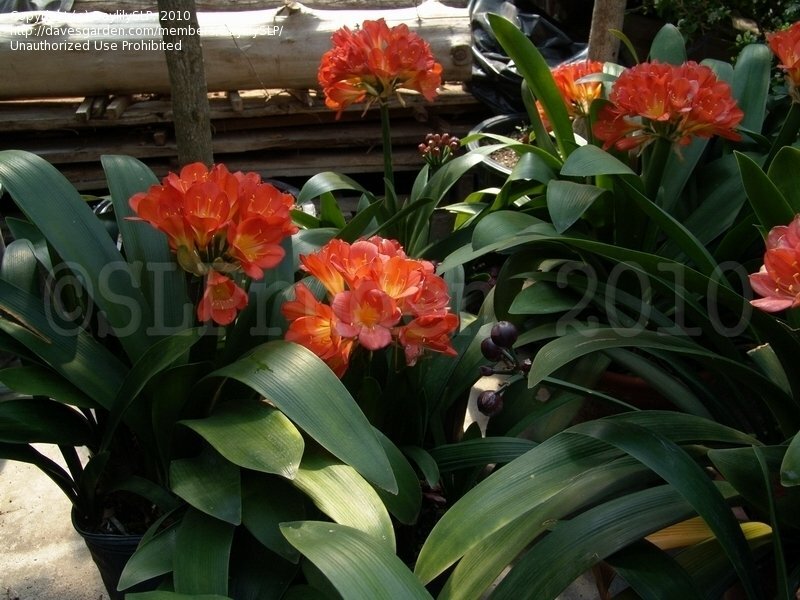 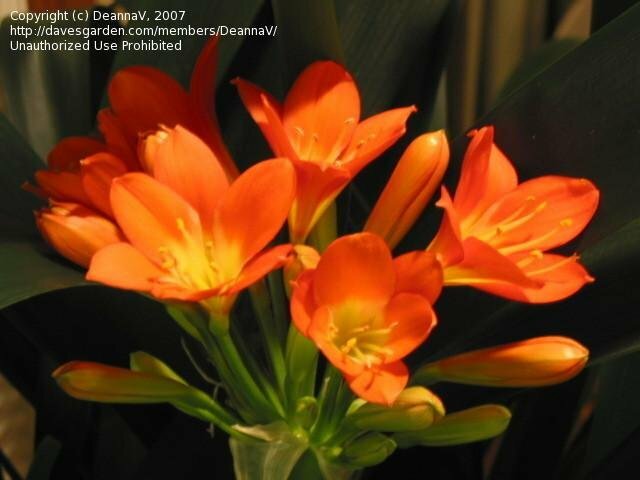 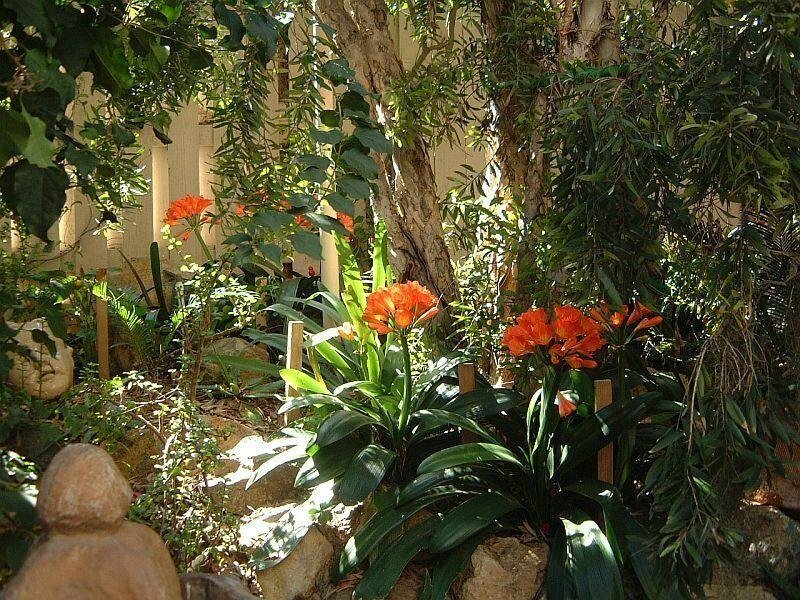 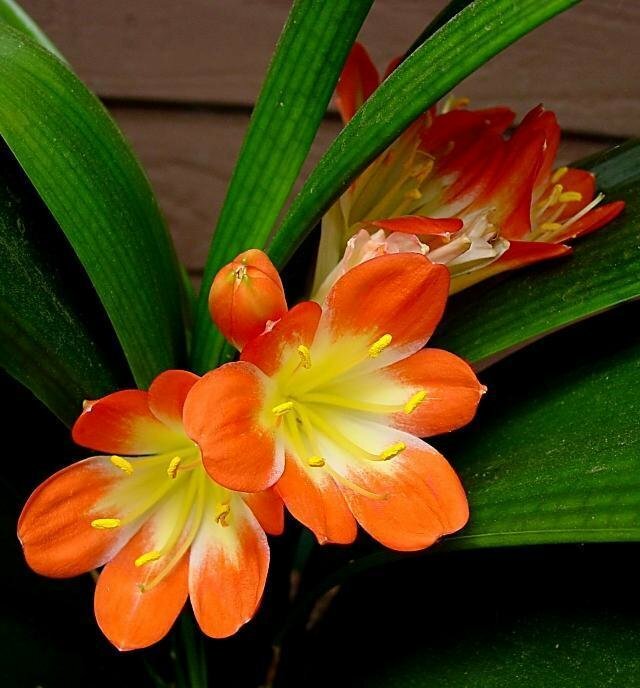 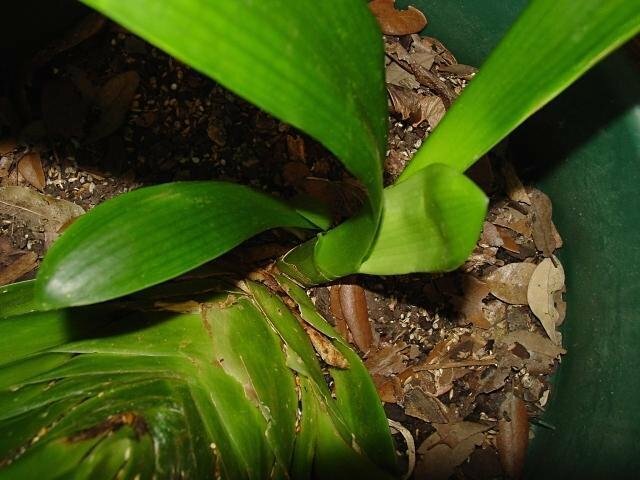 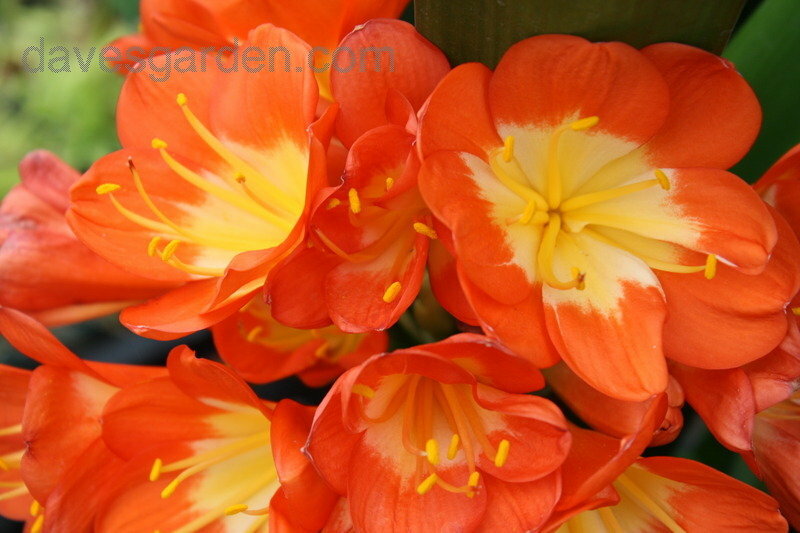 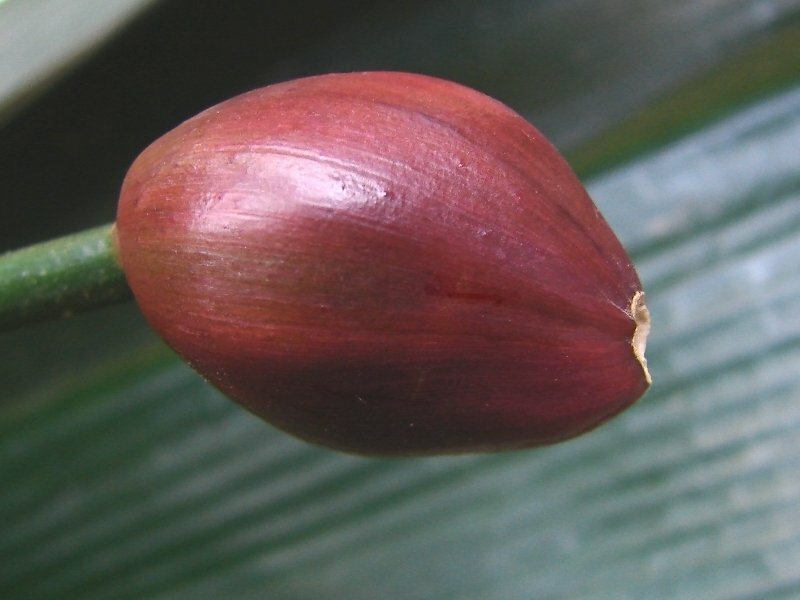 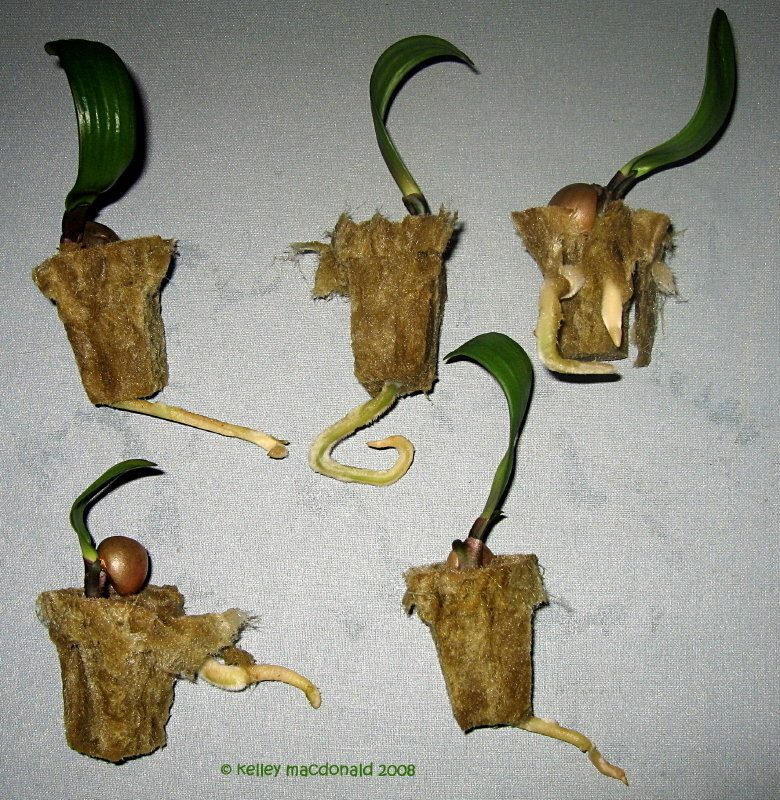 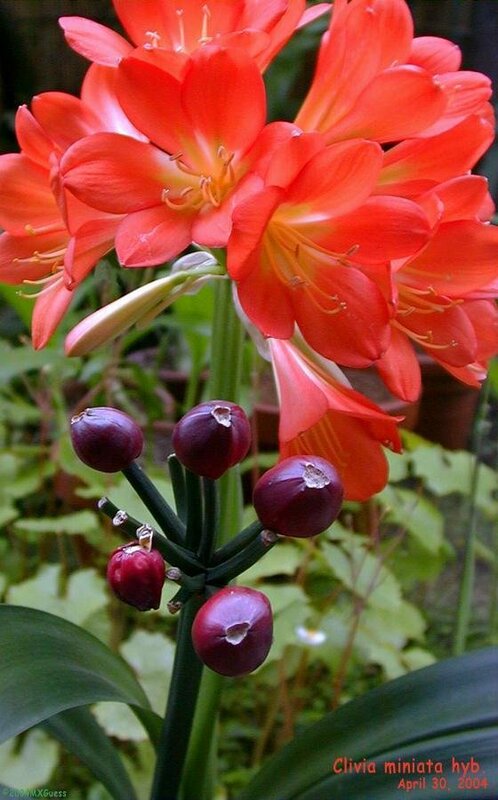 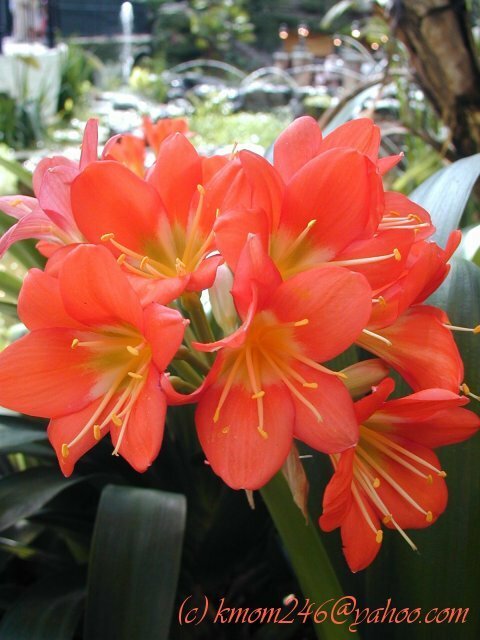 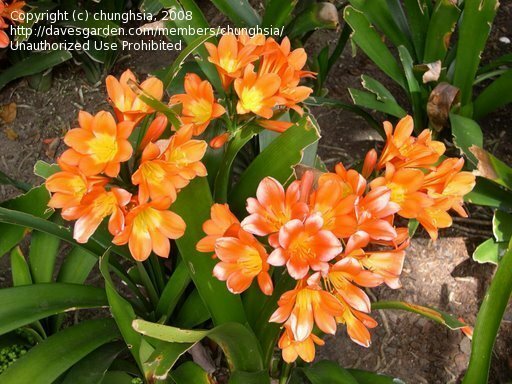 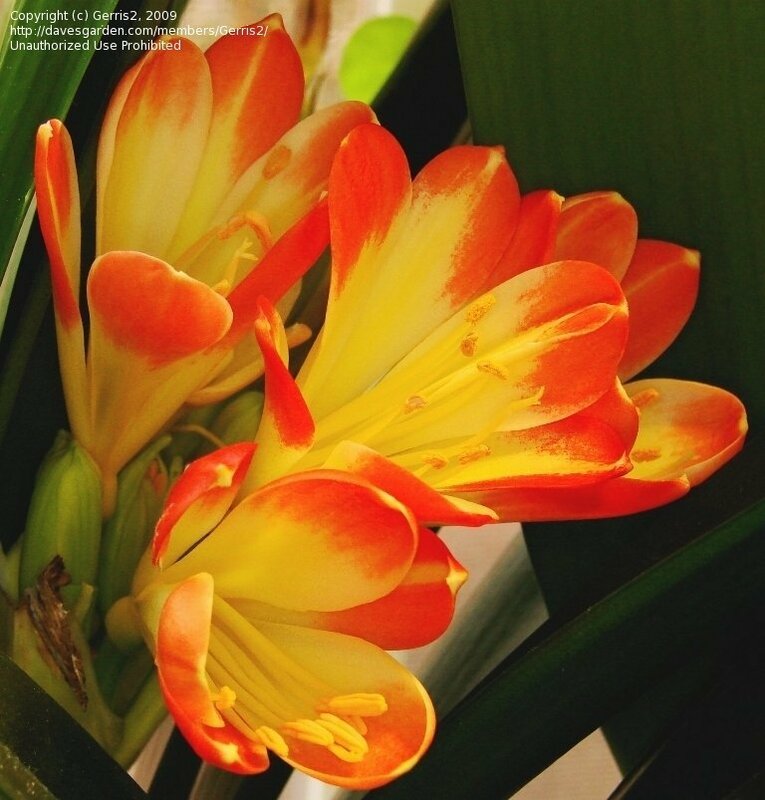 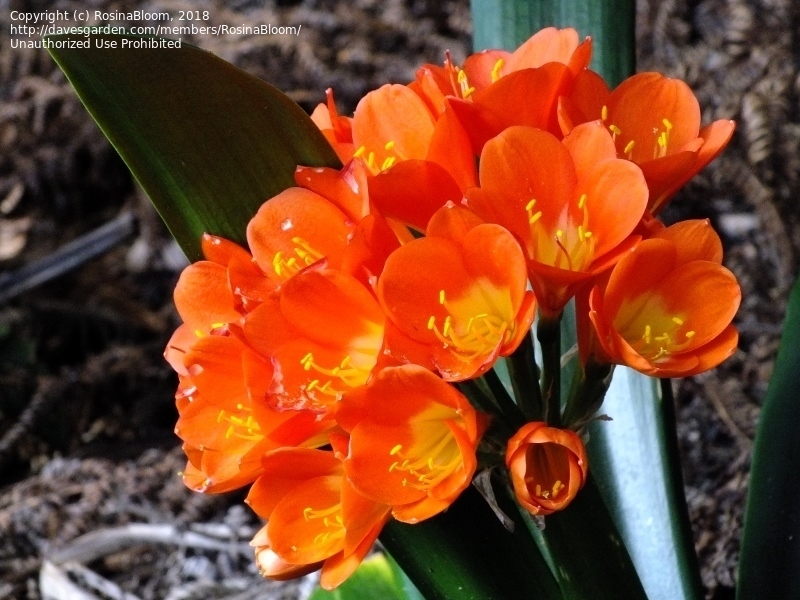 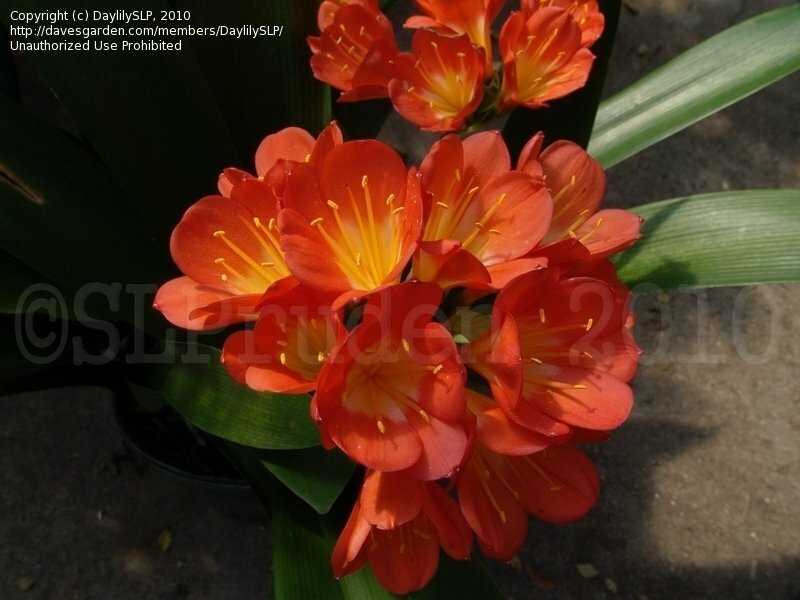 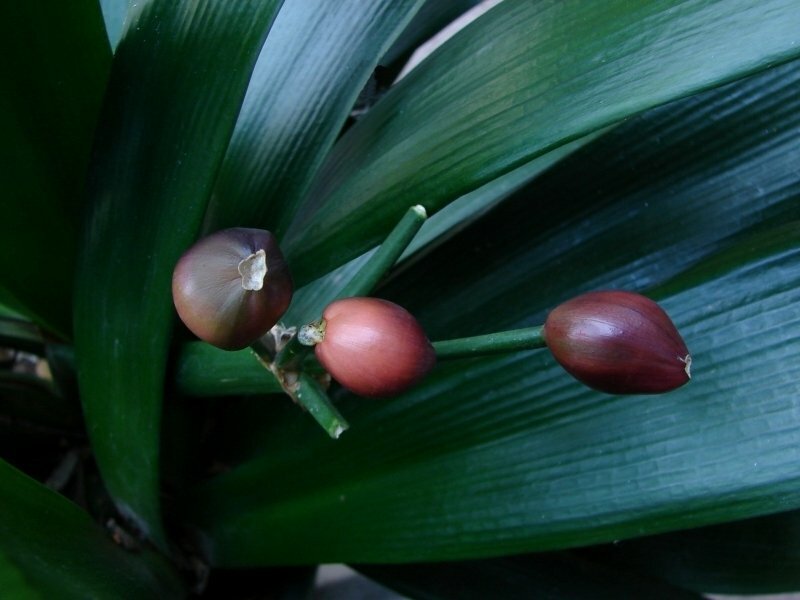 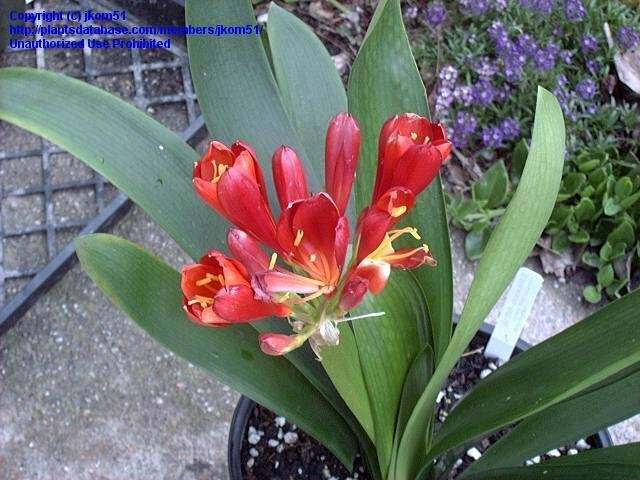 Clivia grows either in the ground or potted in Santa Barbara, CA. 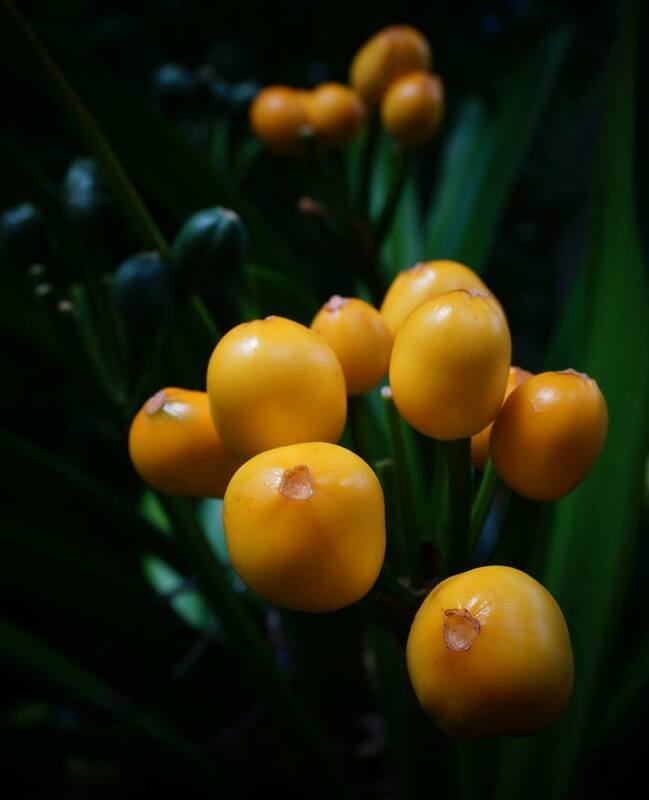 Ripe berries for an orange flower. 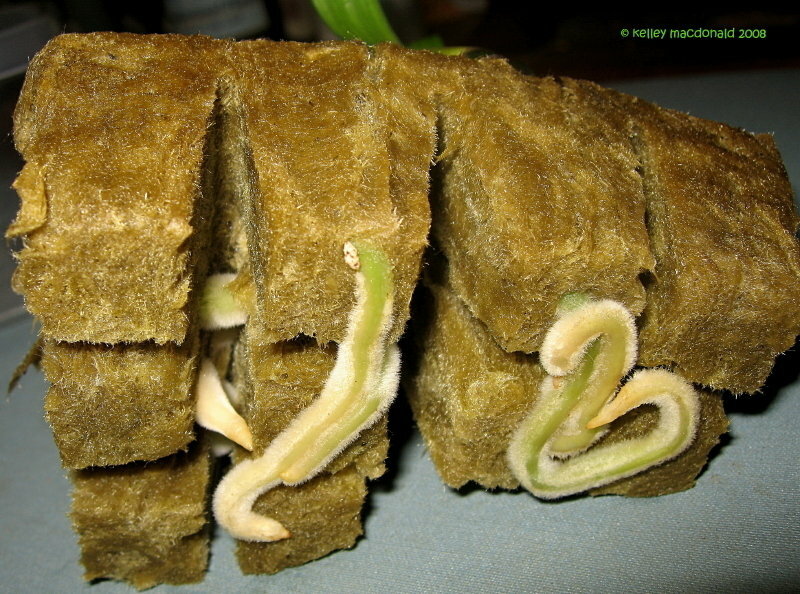 Roots are thick and hairy. 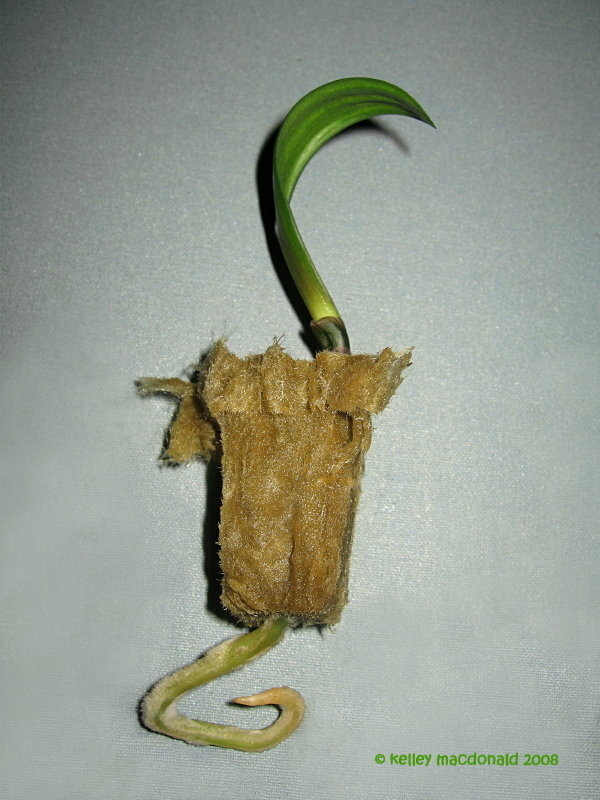 Puts down a long tap root first. 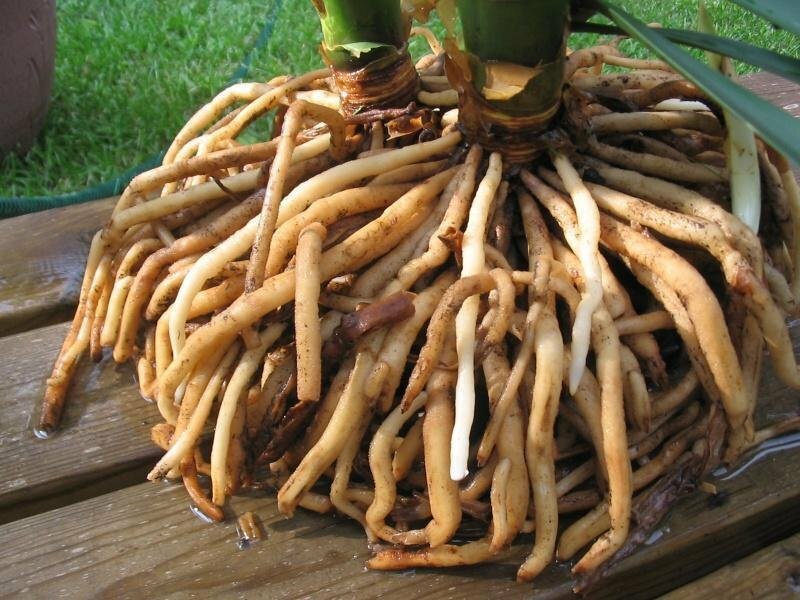 Puts down a long tap root first. 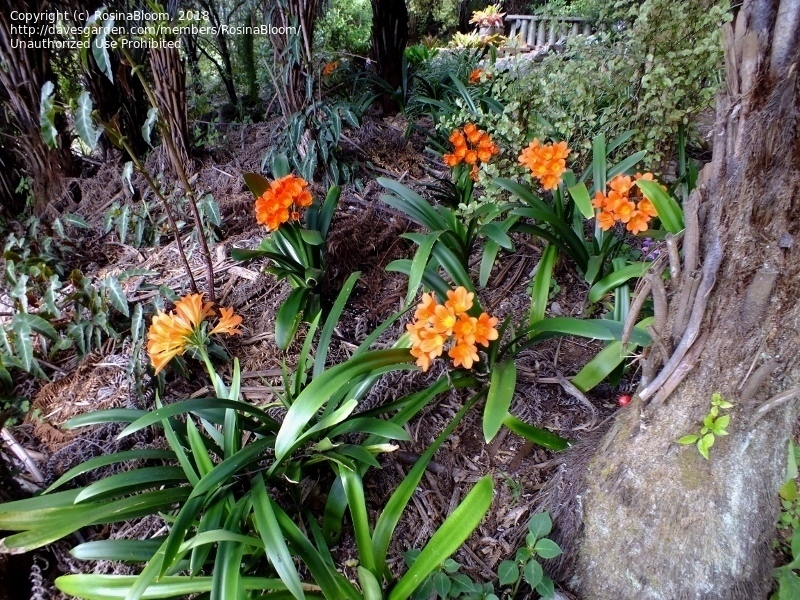 Blooming outdoors in the shade, June 2008 in my zone 5 garden. 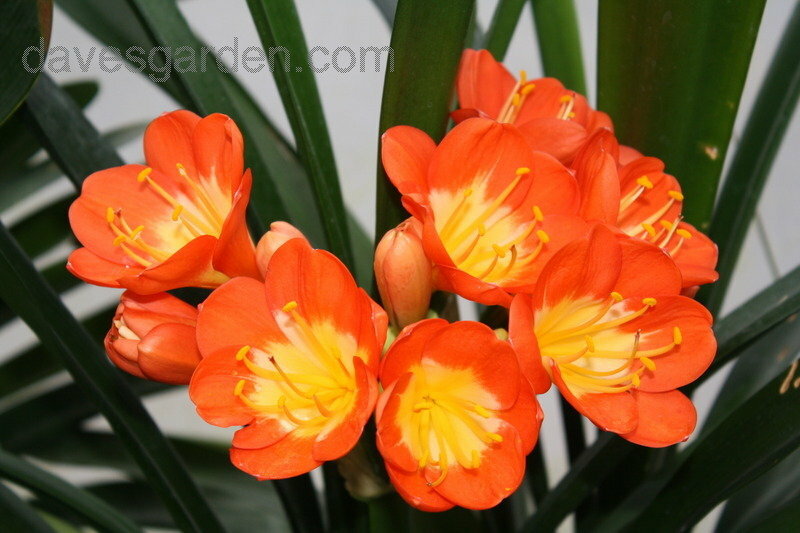 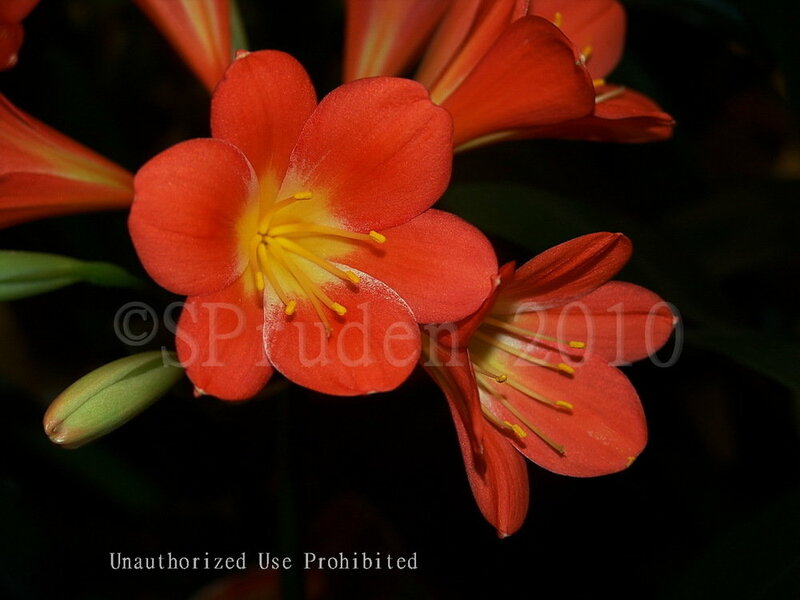 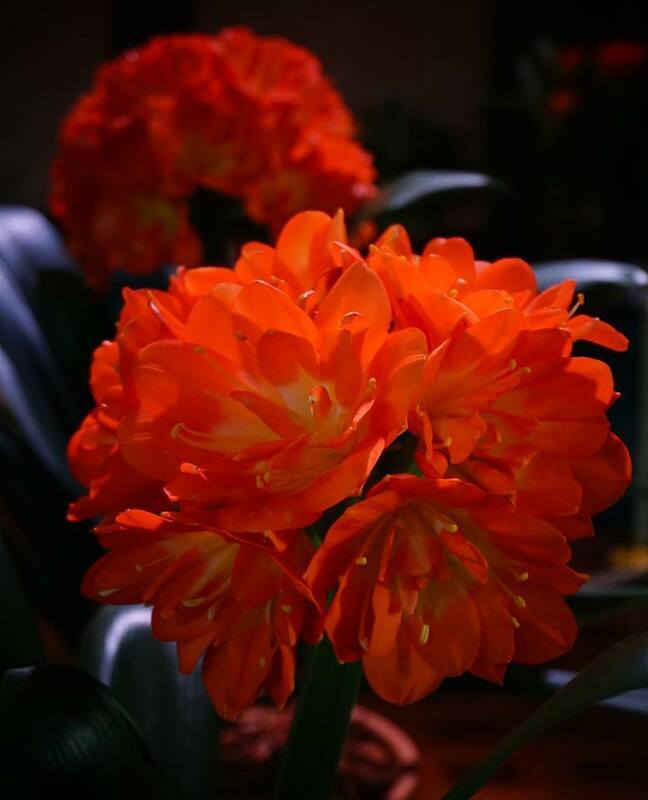 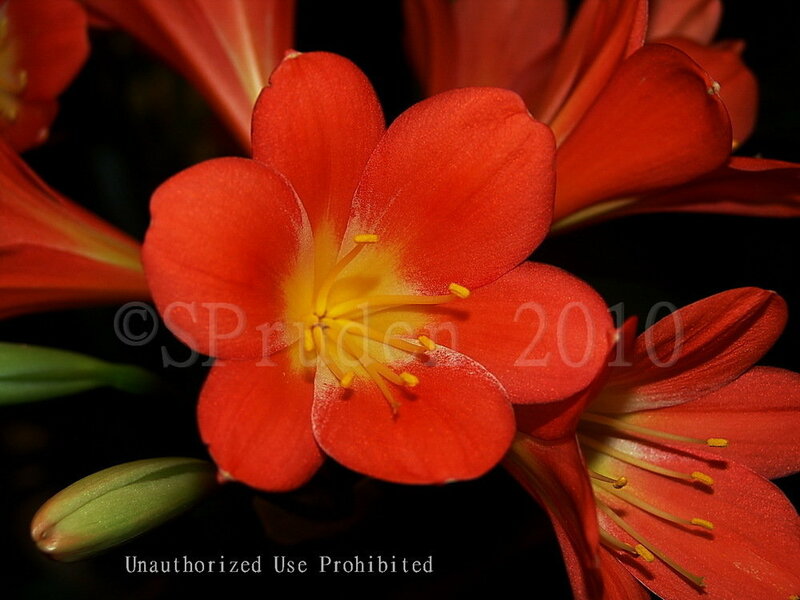 Another seed grown Clivia showing awesome orange fire in its flowers this spring! 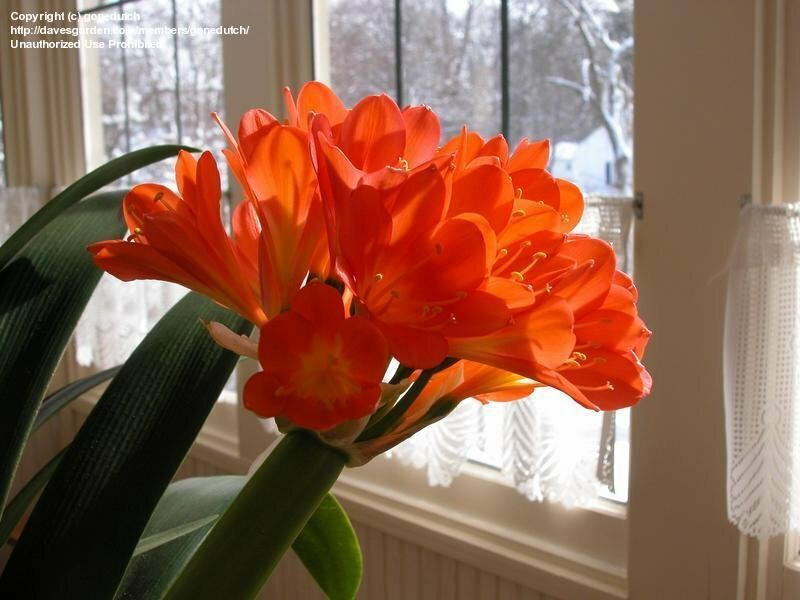 My green center Yellow "Green Delilah "
Love my clivia!! 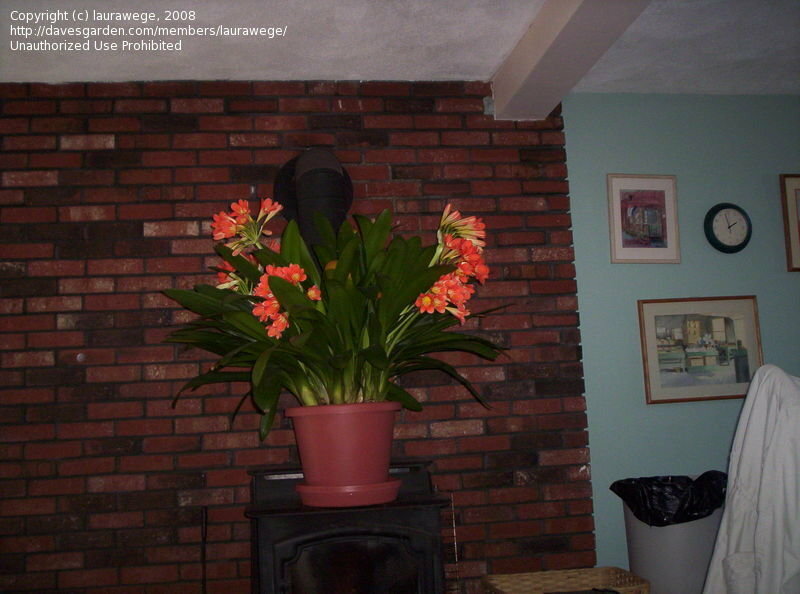 It's 8 years old and as you can see it is a beautiful, healthy plant! 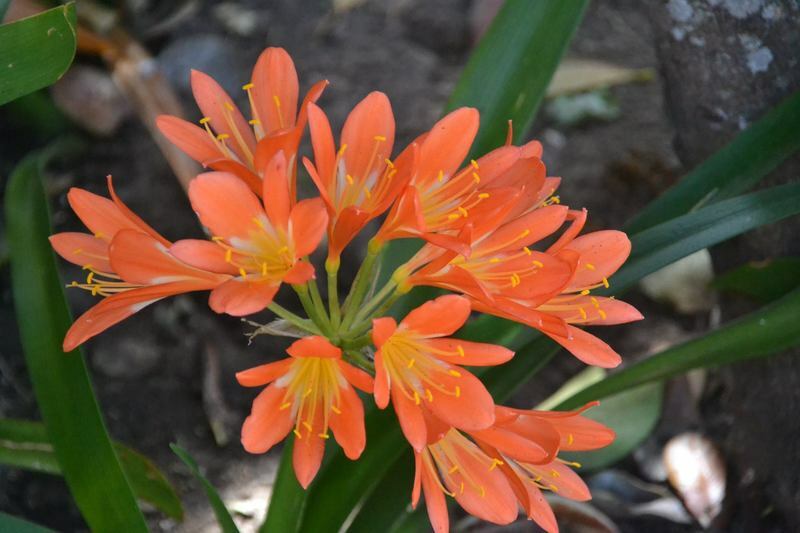 Photo courtesy of, copyright of Fanie Avenant of Western Cape, South Africa.